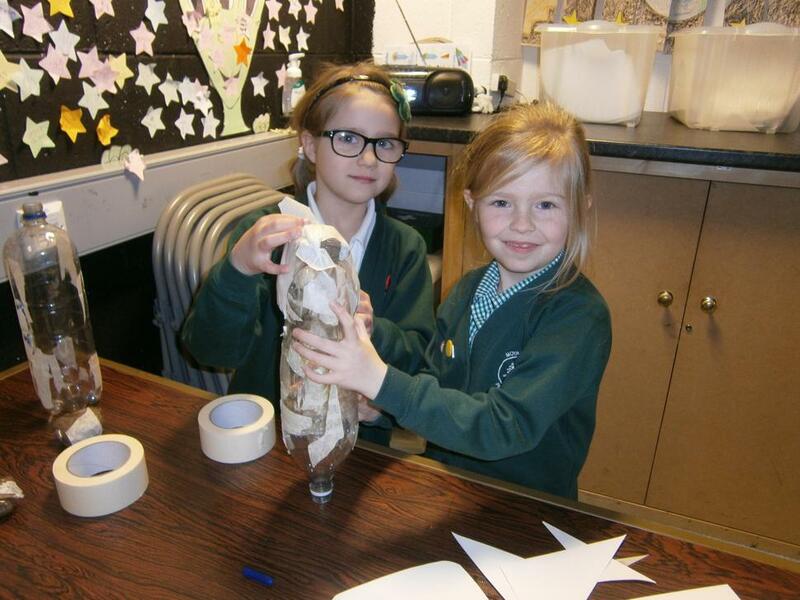 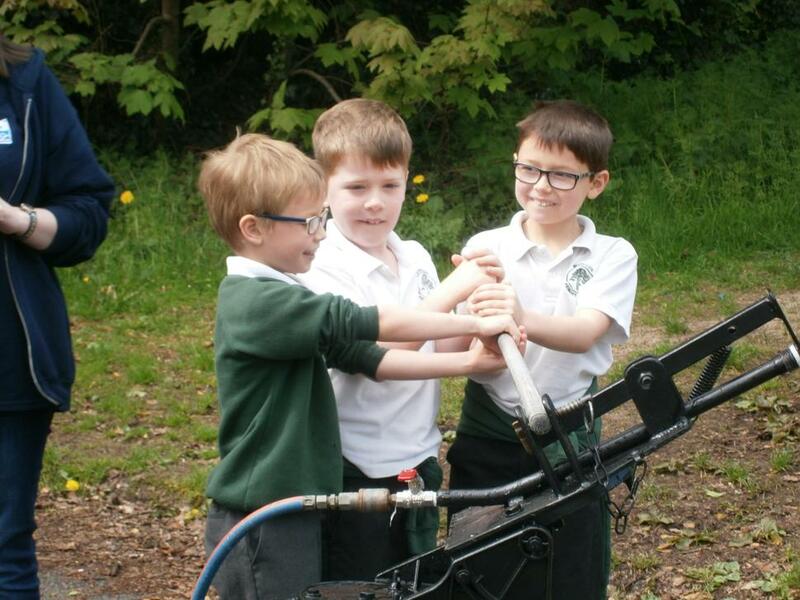 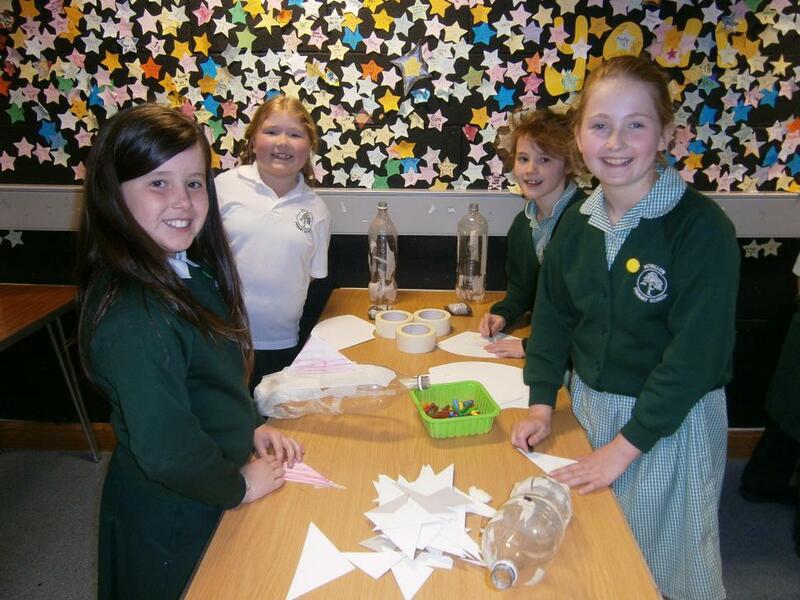 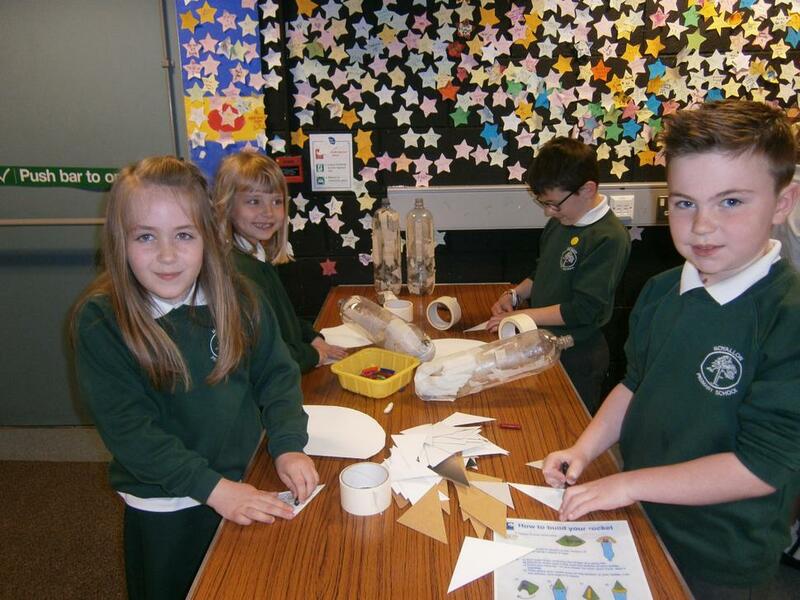 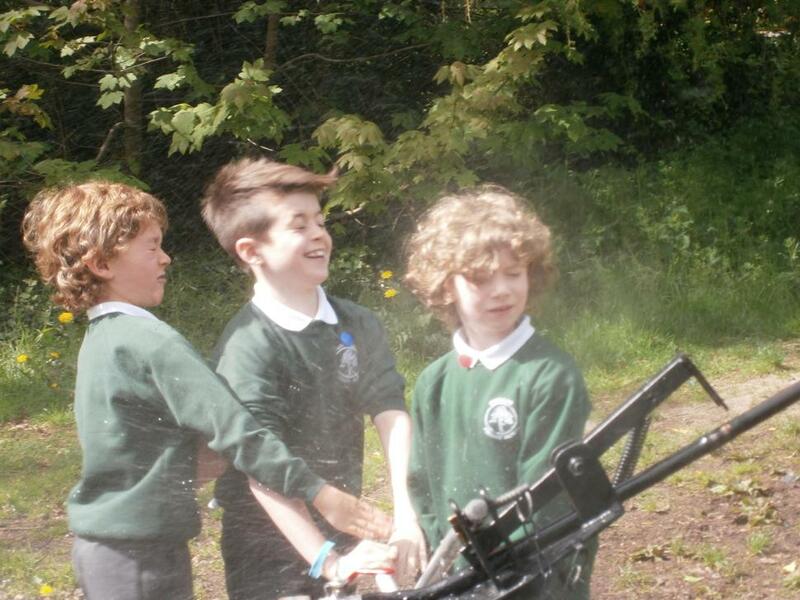 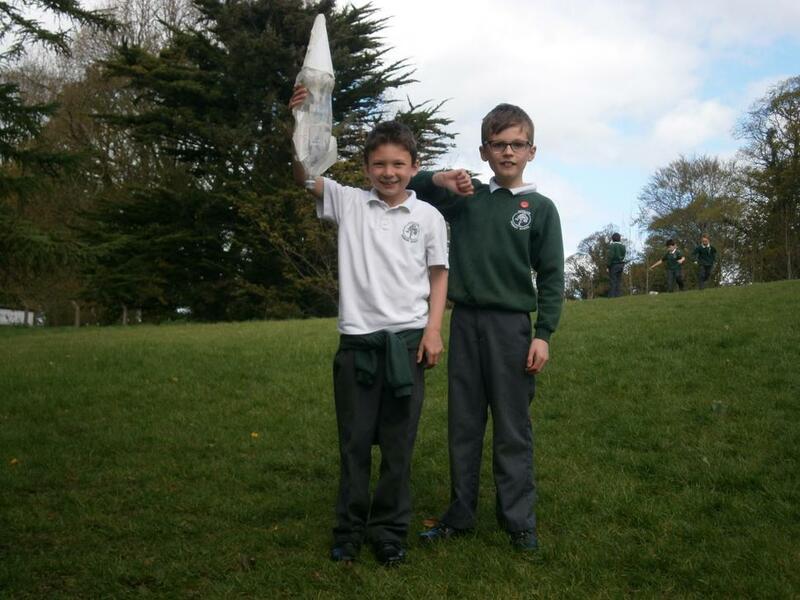 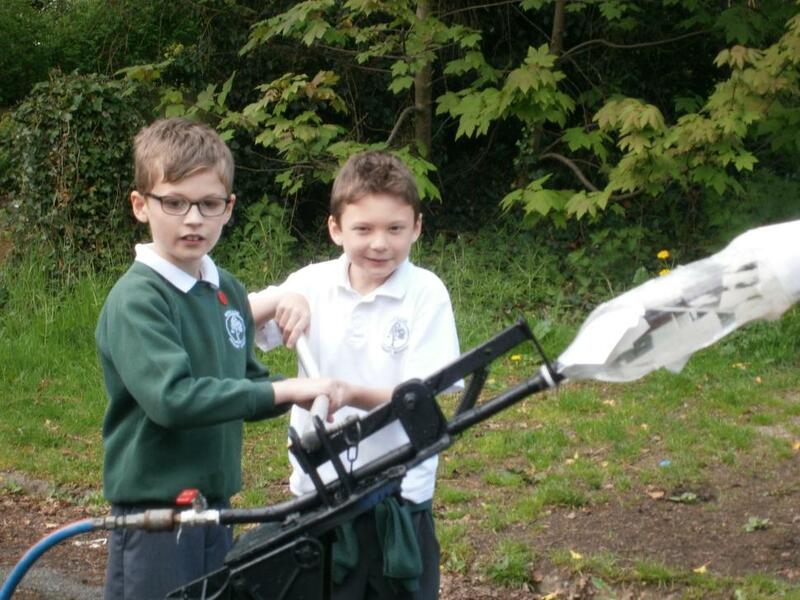 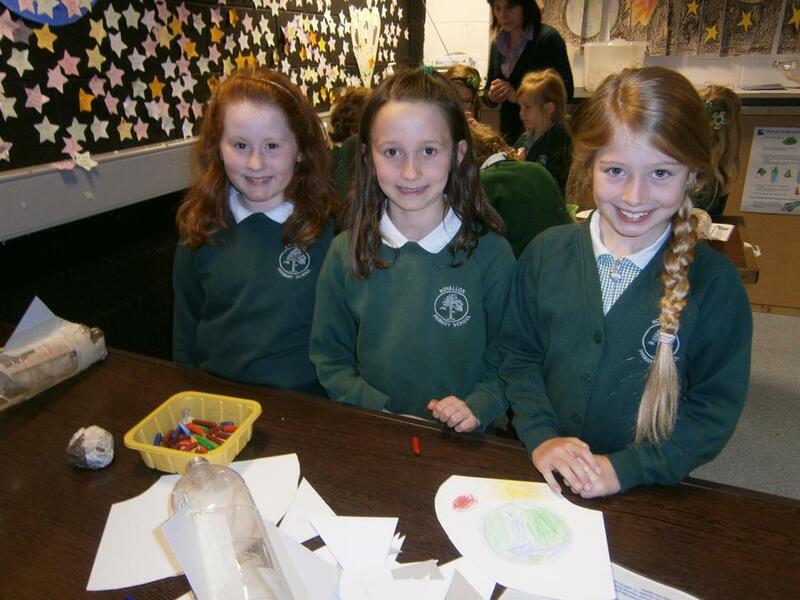 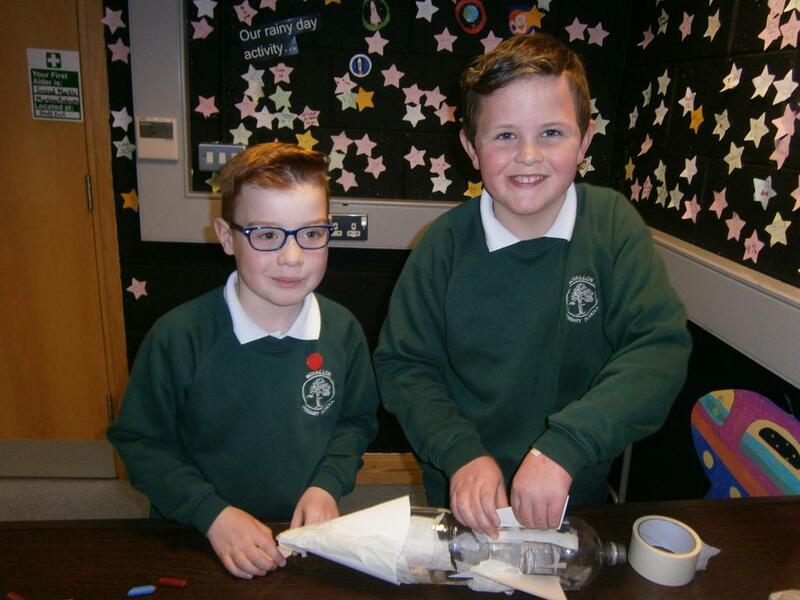 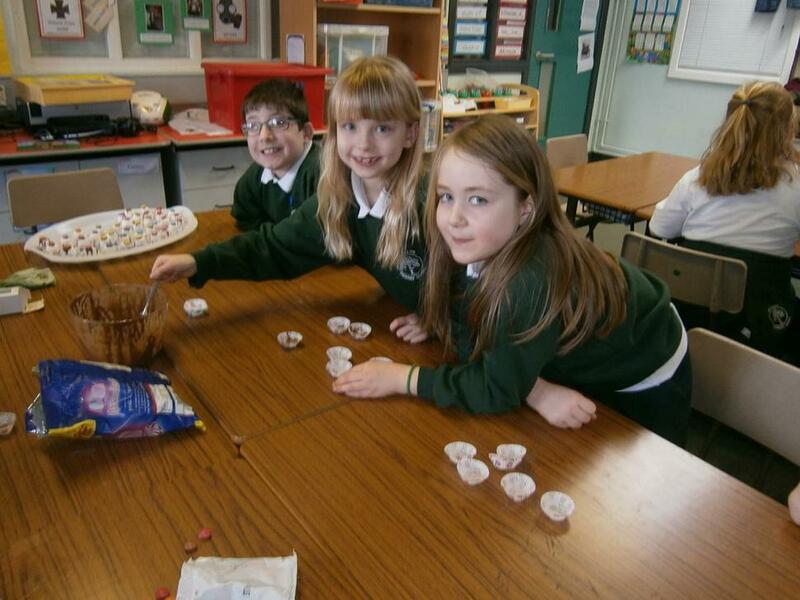 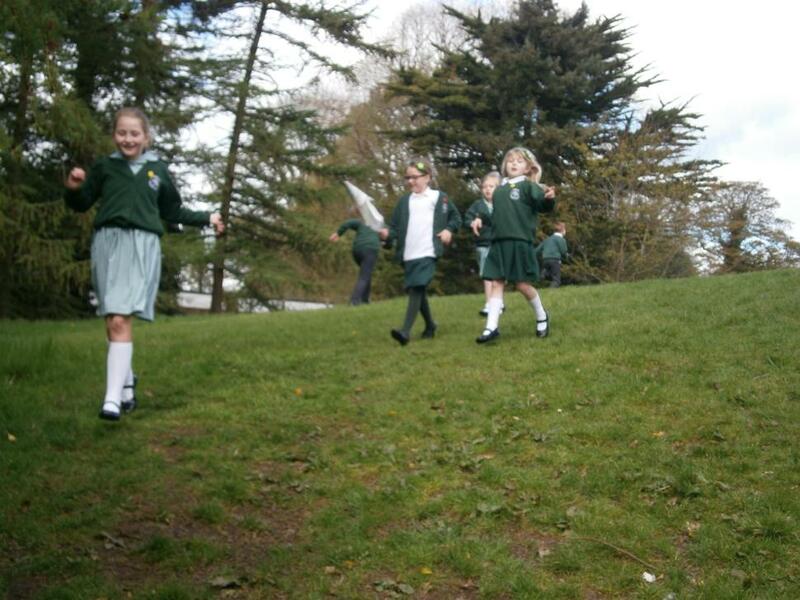 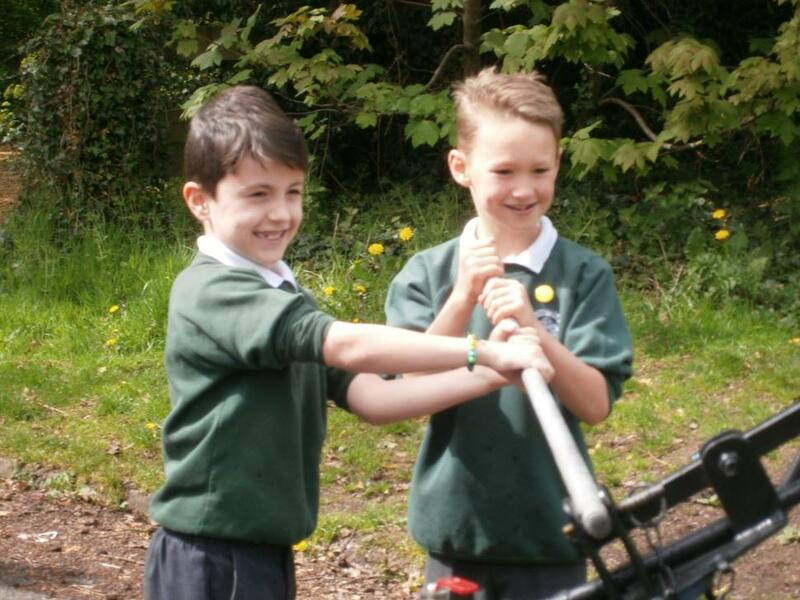 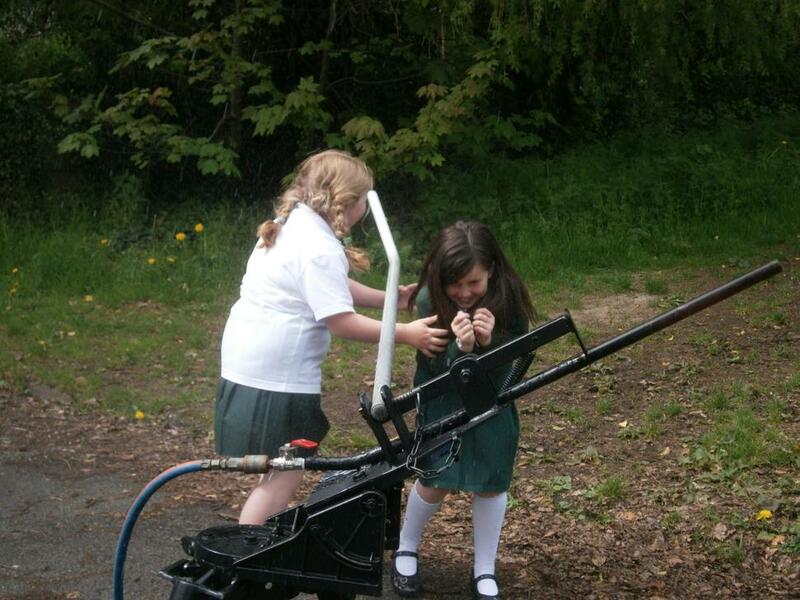 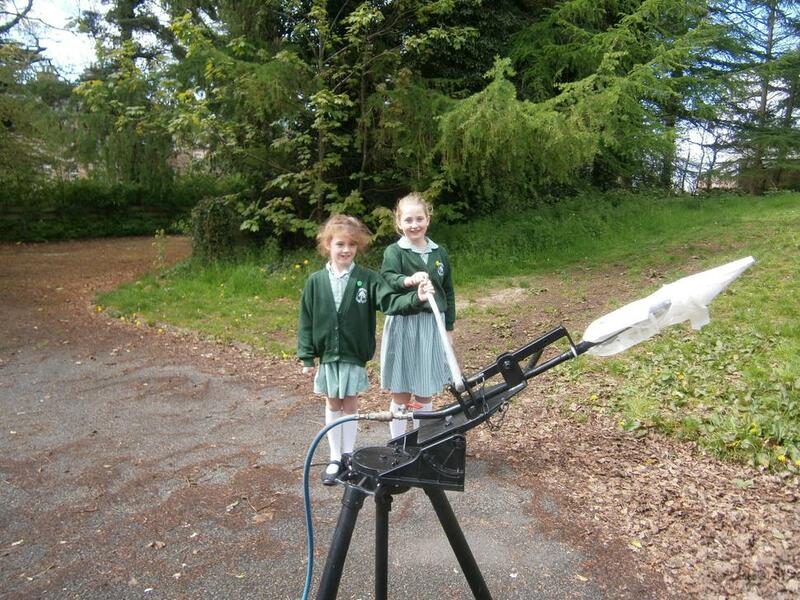 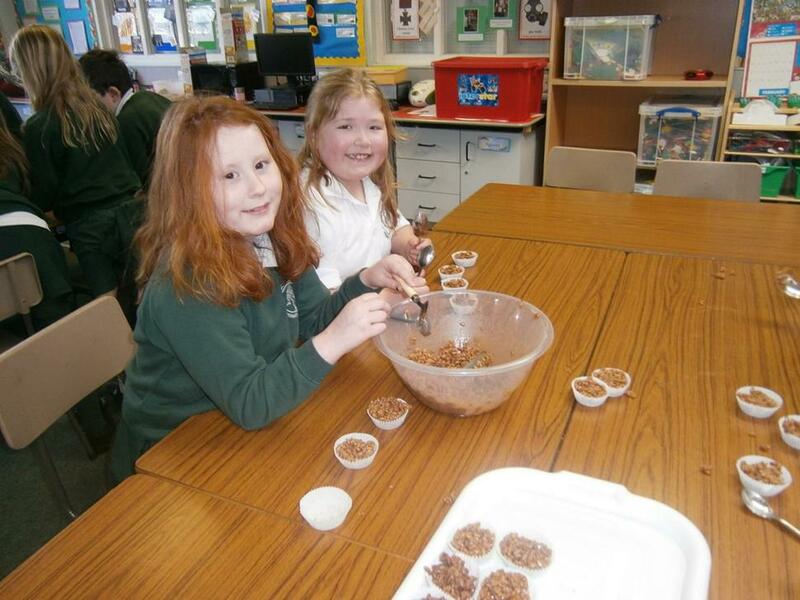 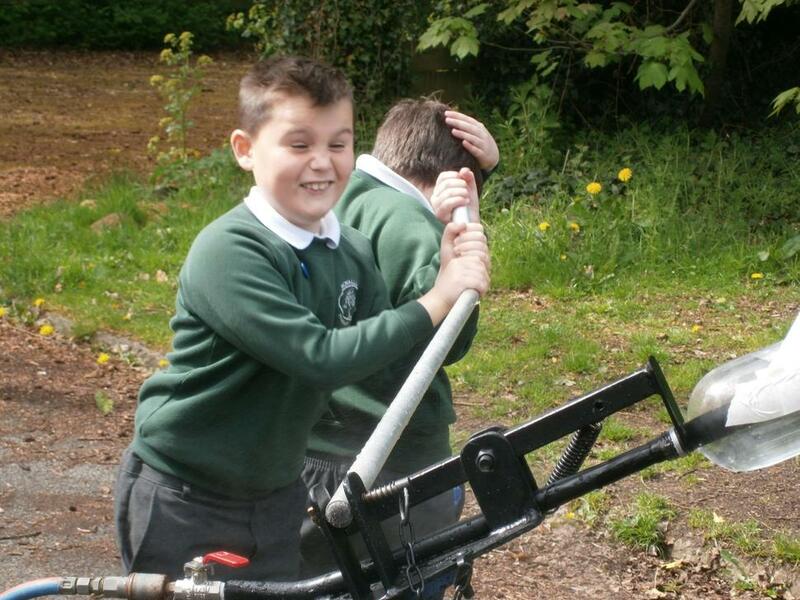 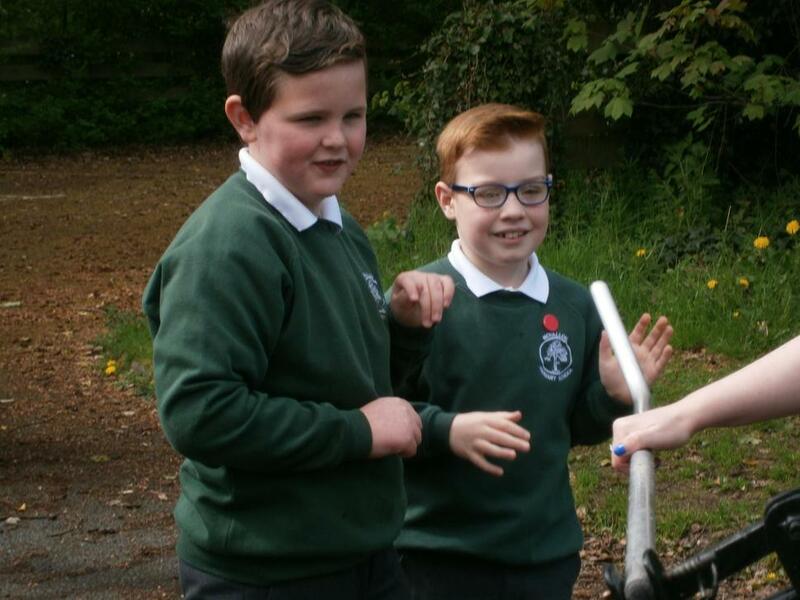 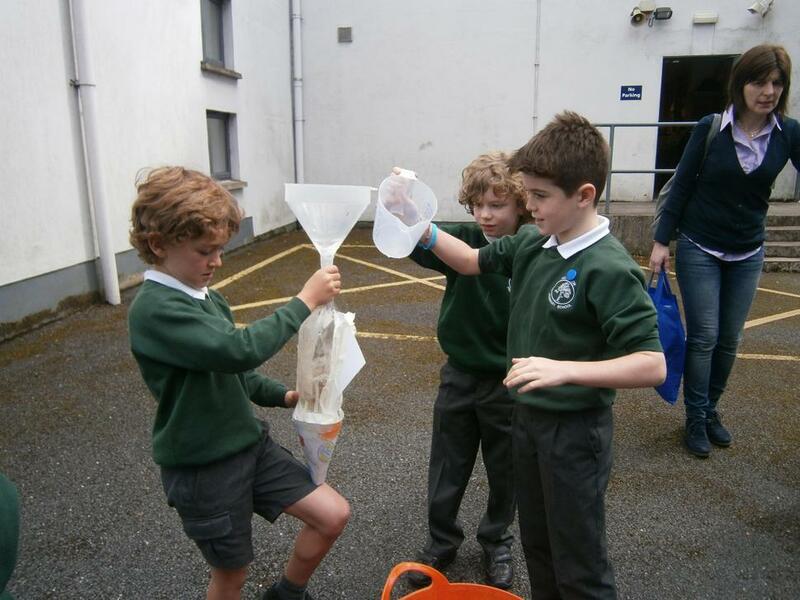 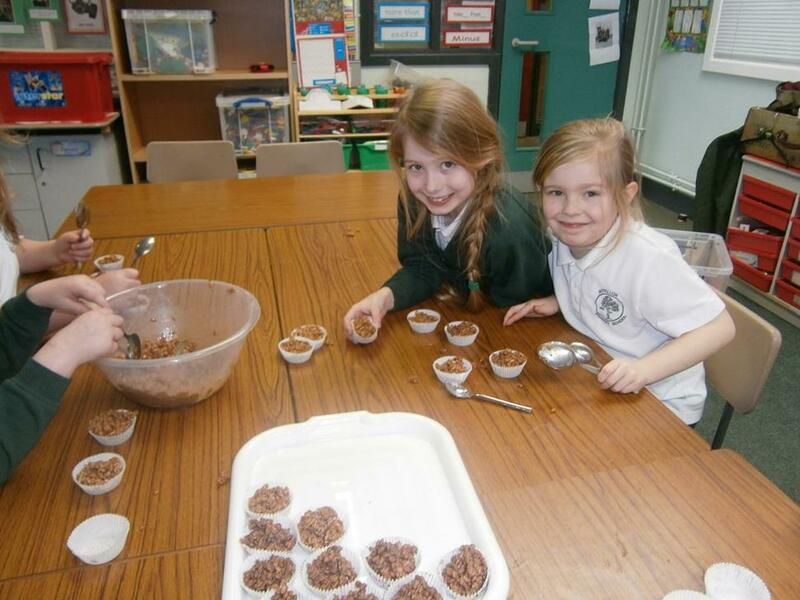 P4 enjoyed learning all about capacity through practical measuring activities. 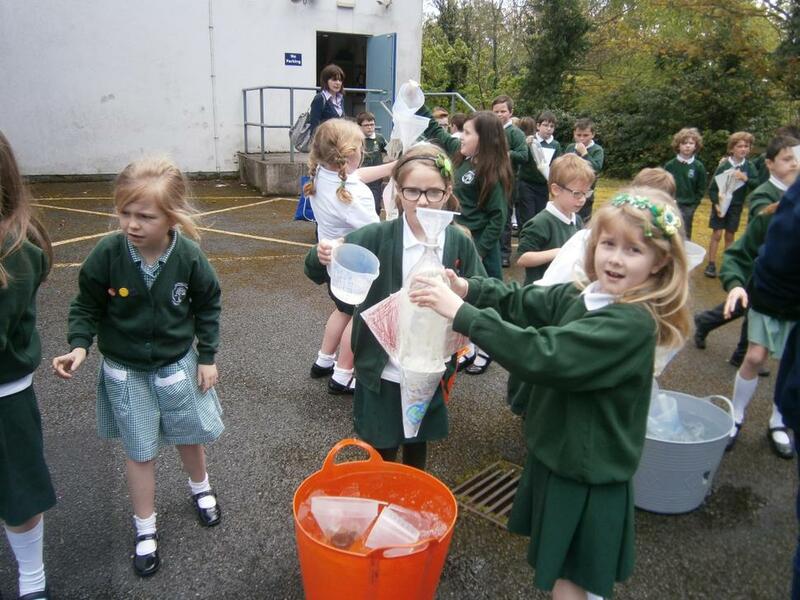 These included playing a capacity game on the BBC site, a matching card game and ordering containers holding the most to the least liquid. 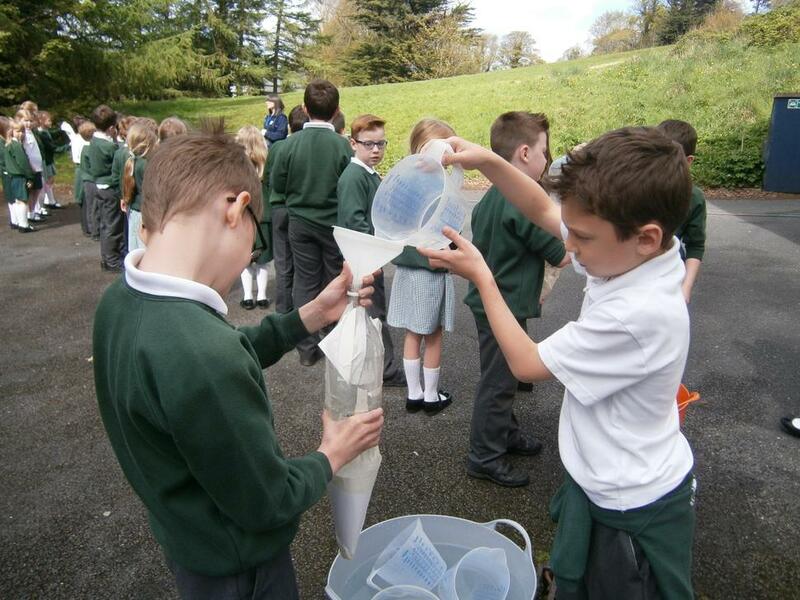 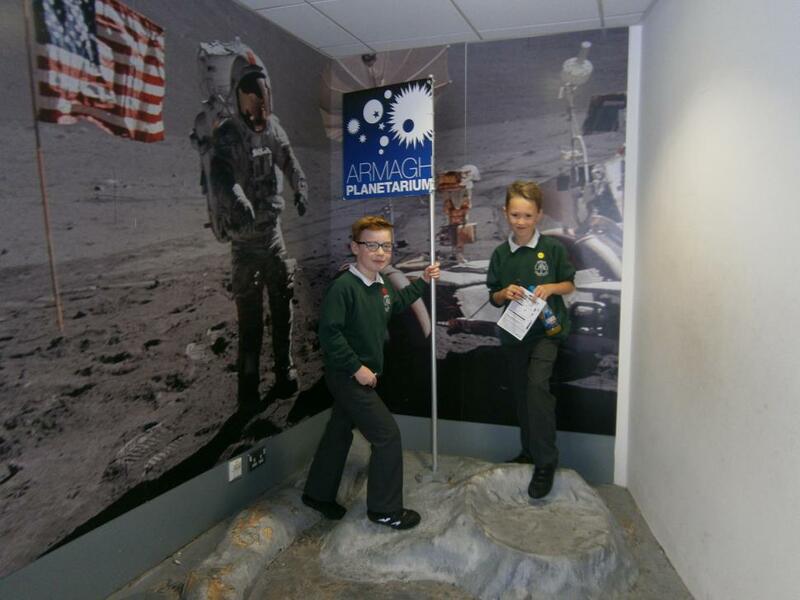 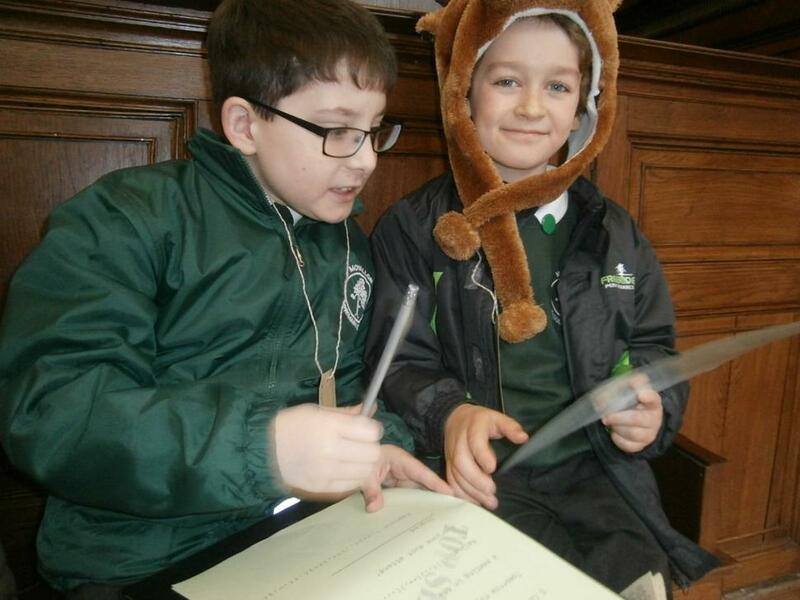 They also worked in pairs to measure out various amounts, making sure to read the measuring jug at eye-level. 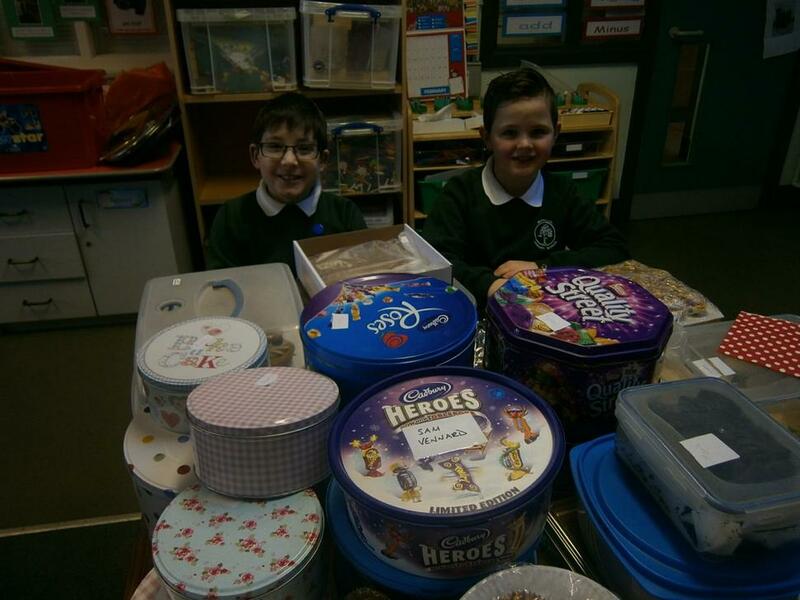 Finally they were asked to accurately estimate the capacity of different containers. 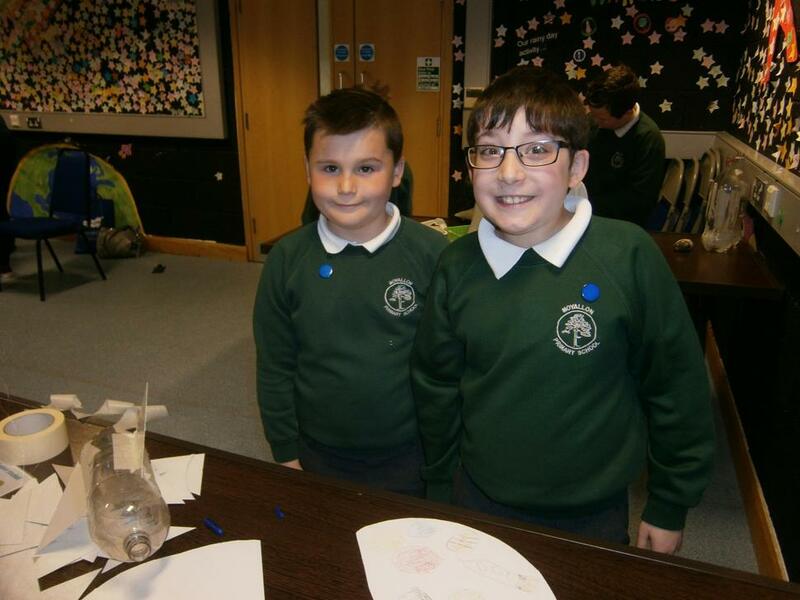 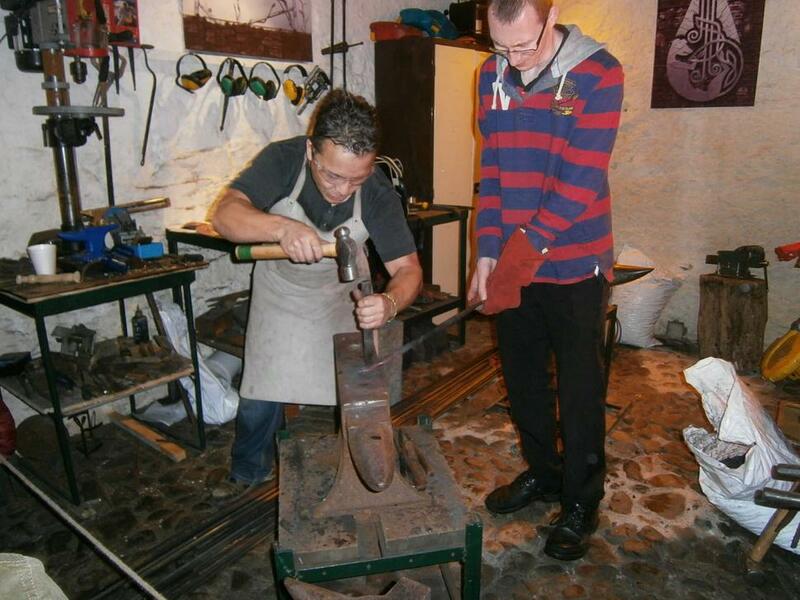 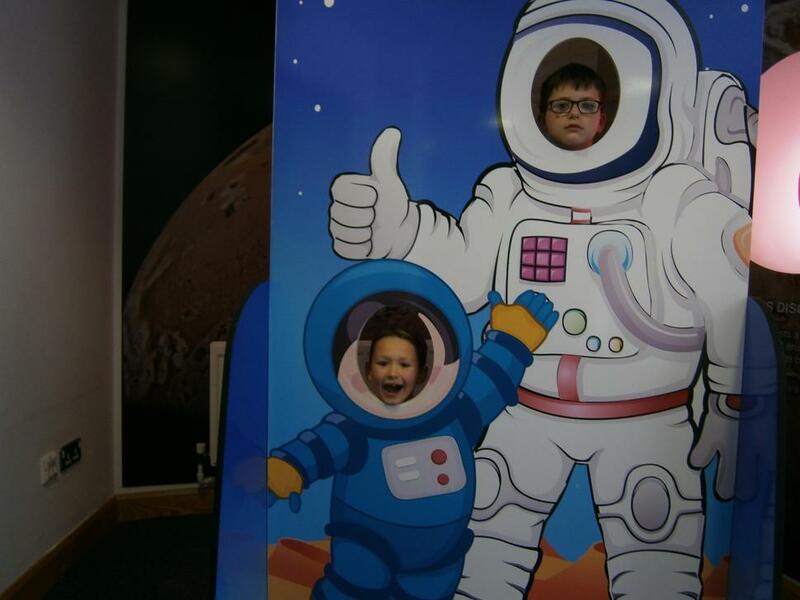 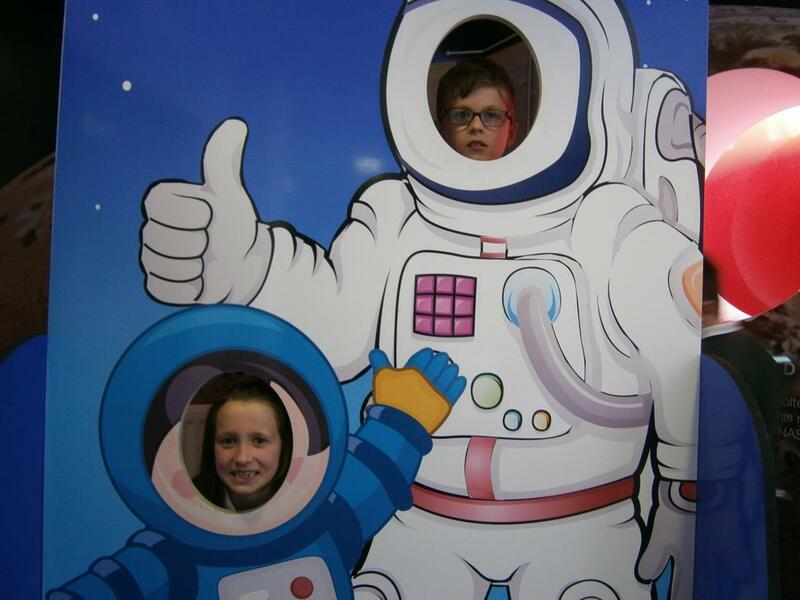 At the end we had great fun revealing the true capacity! 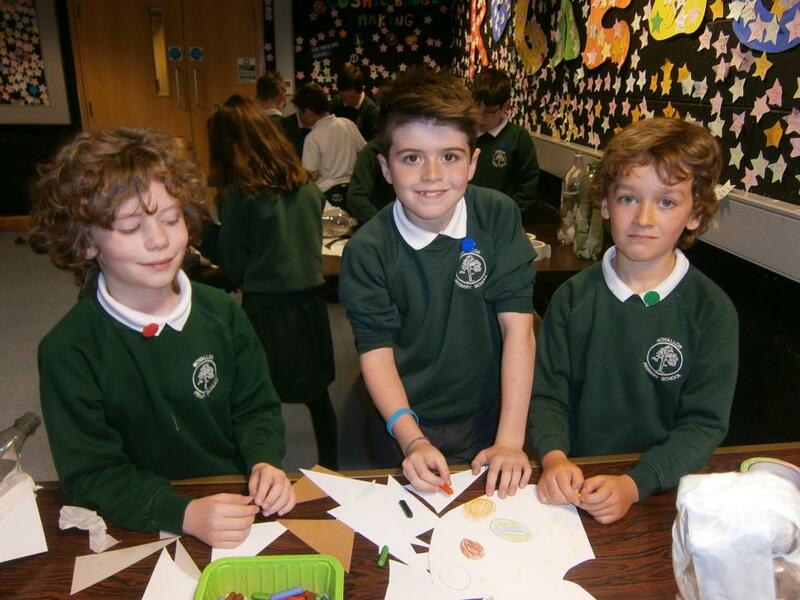 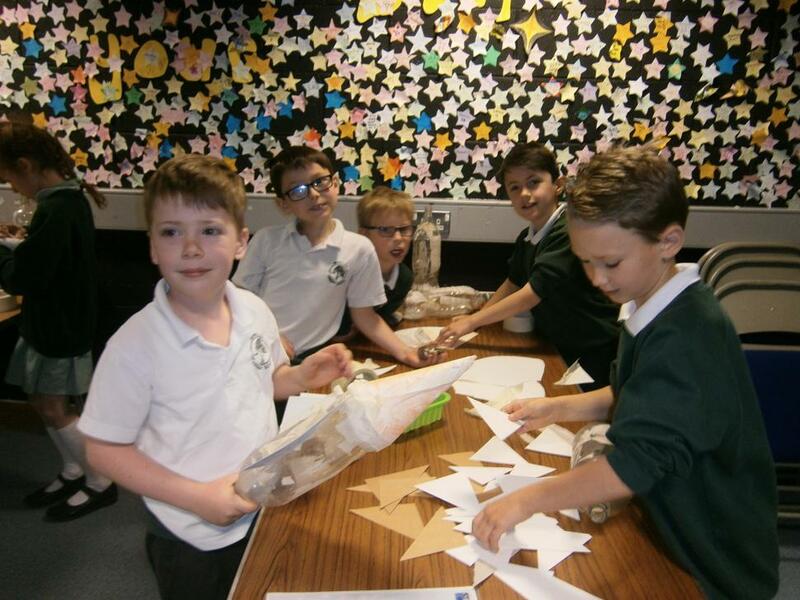 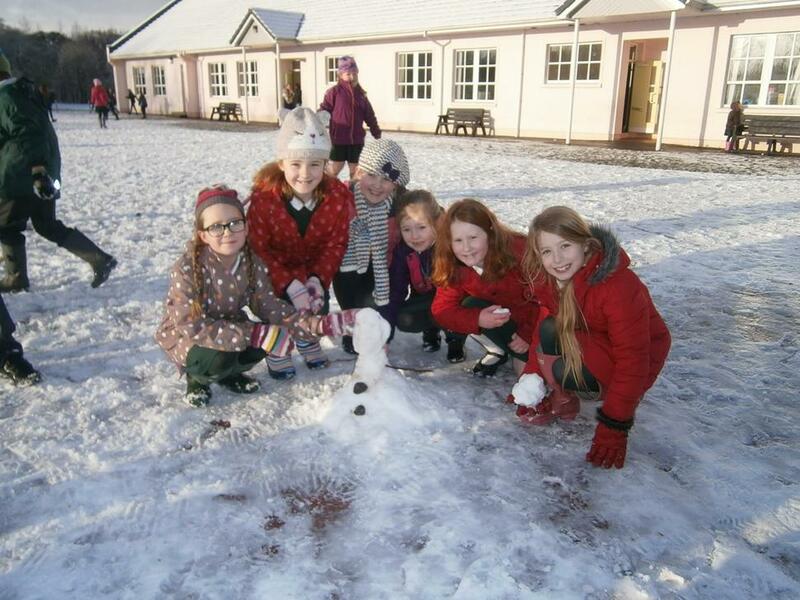 Well done P4 for working so well in your capacity groups. 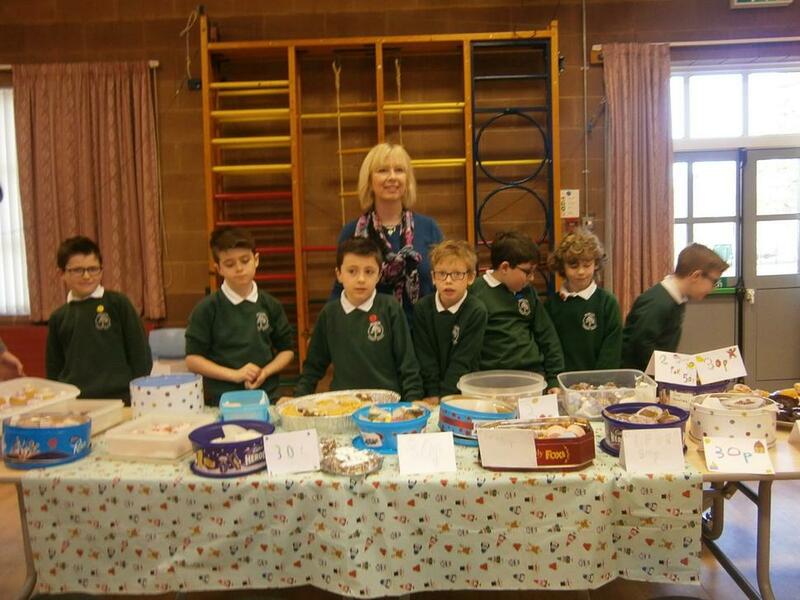 We presented a representative of the Dogs Trust with a cheque for £62. 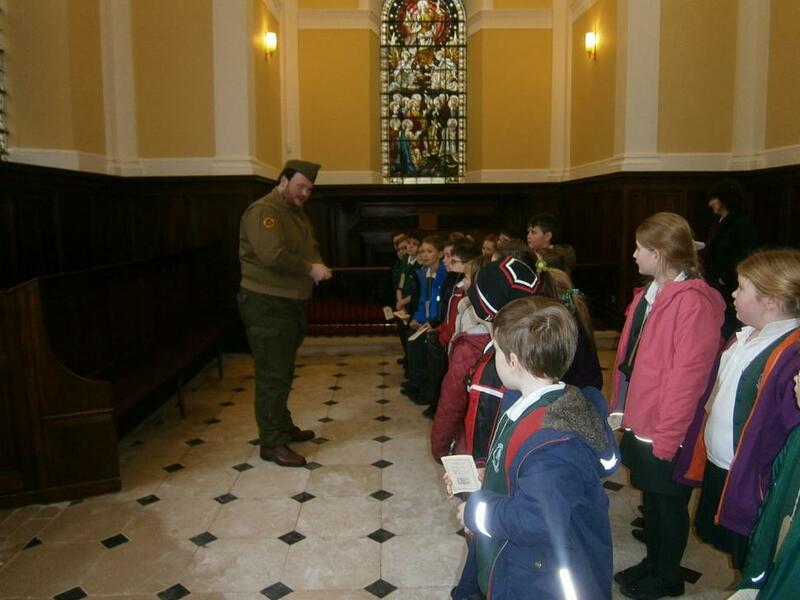 Jed the dog came along to visit. 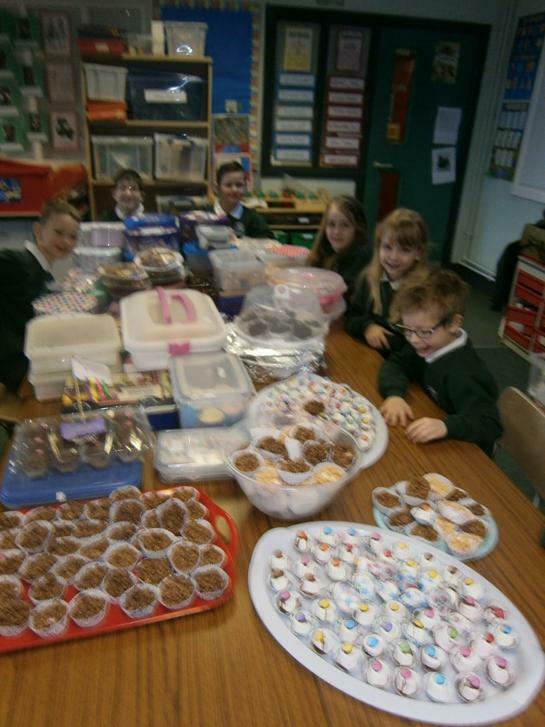 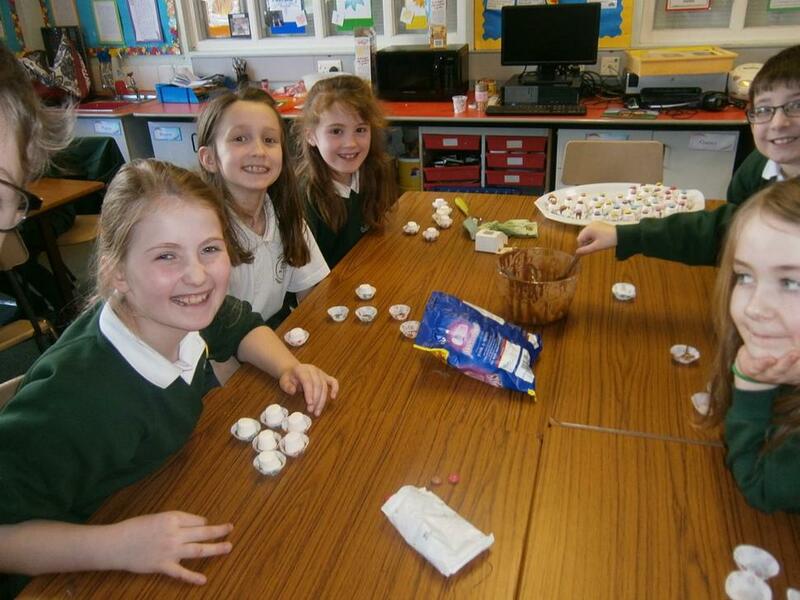 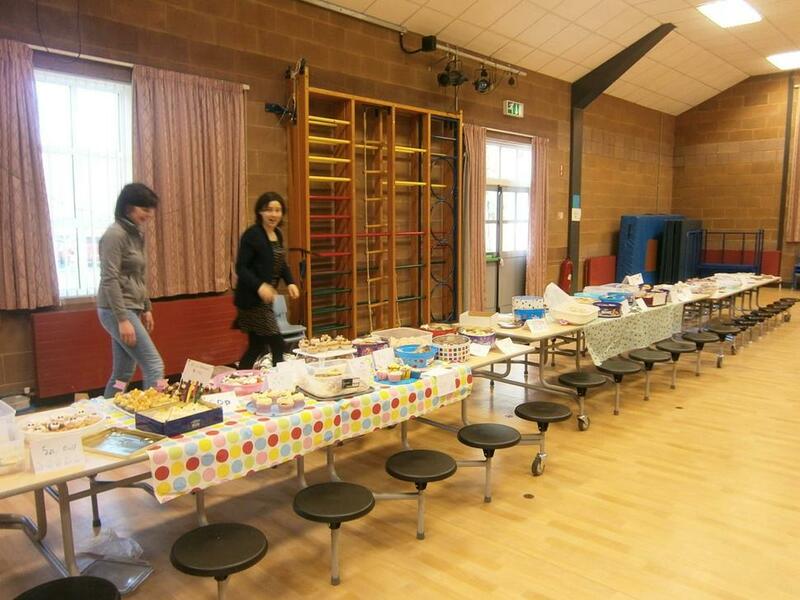 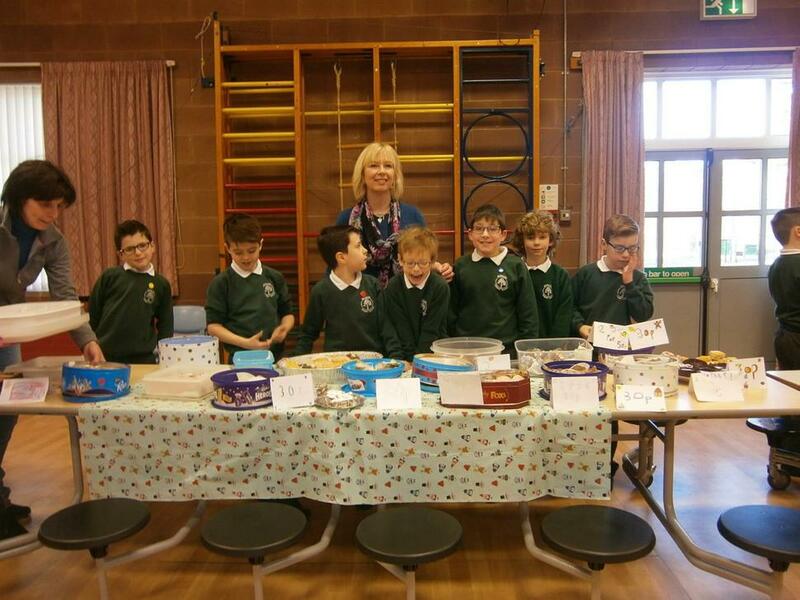 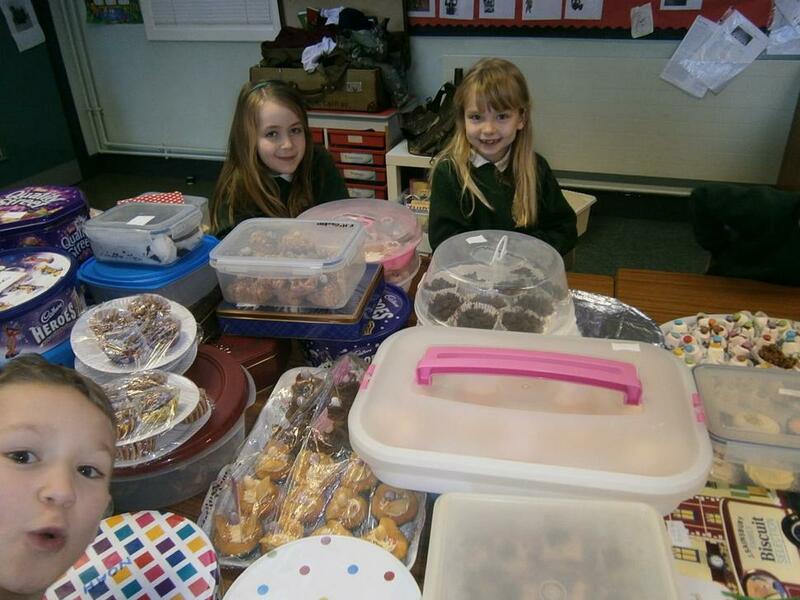 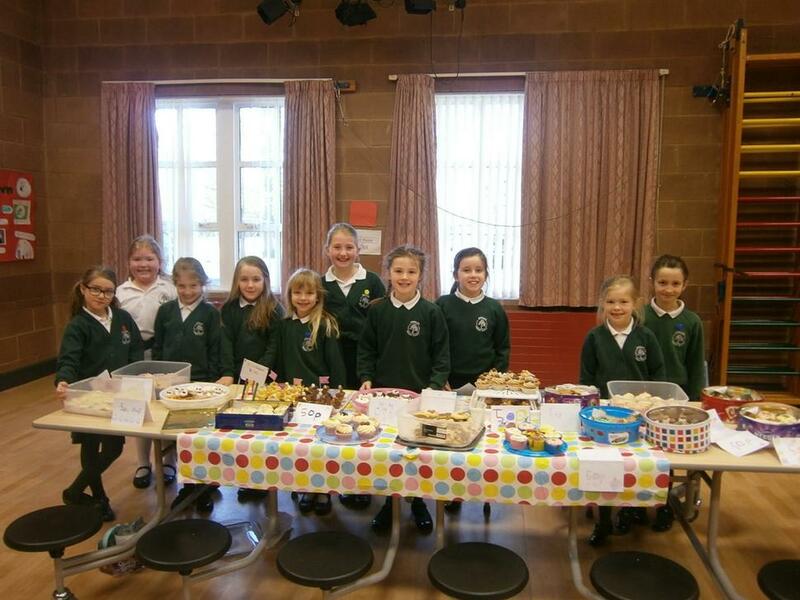 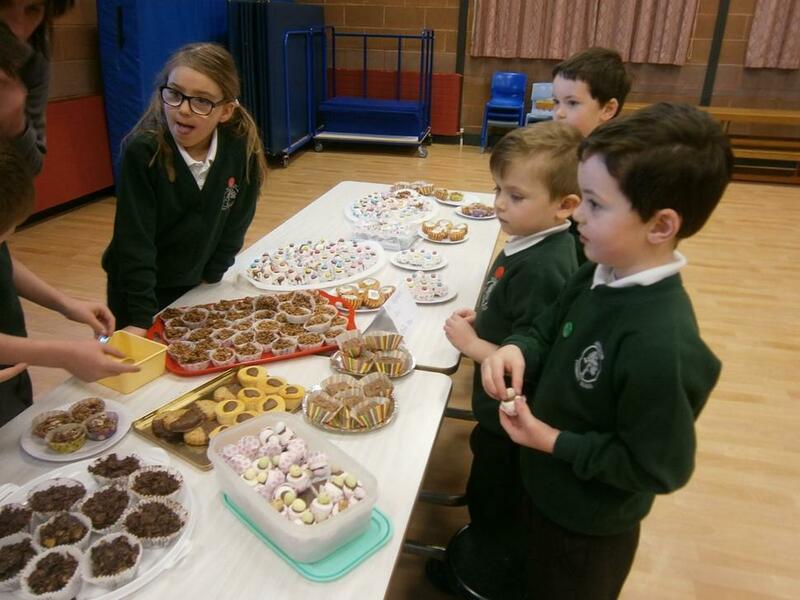 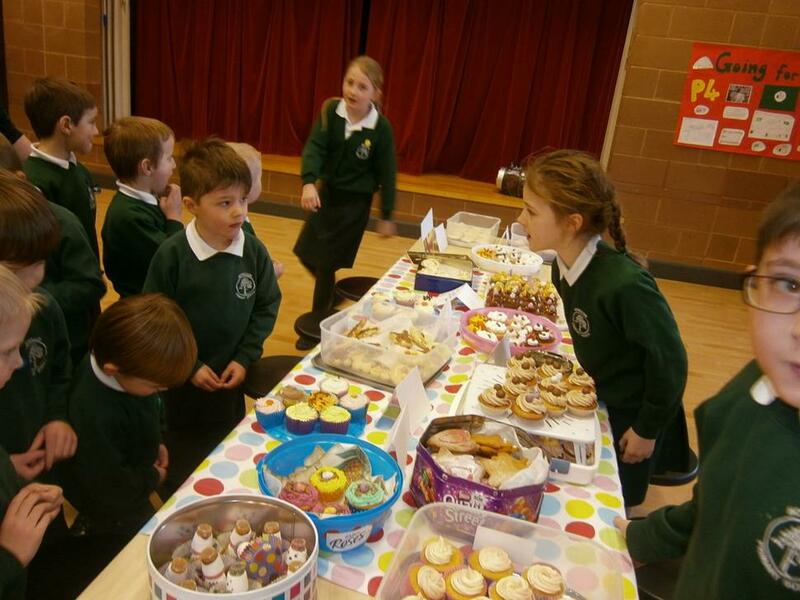 The P4 Big Bun Sale was a great success. 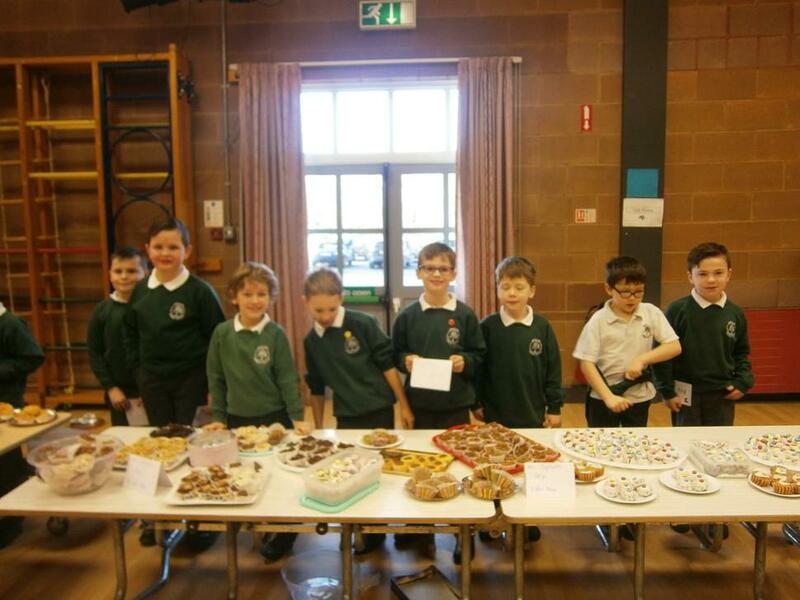 A total of £310 was raised. 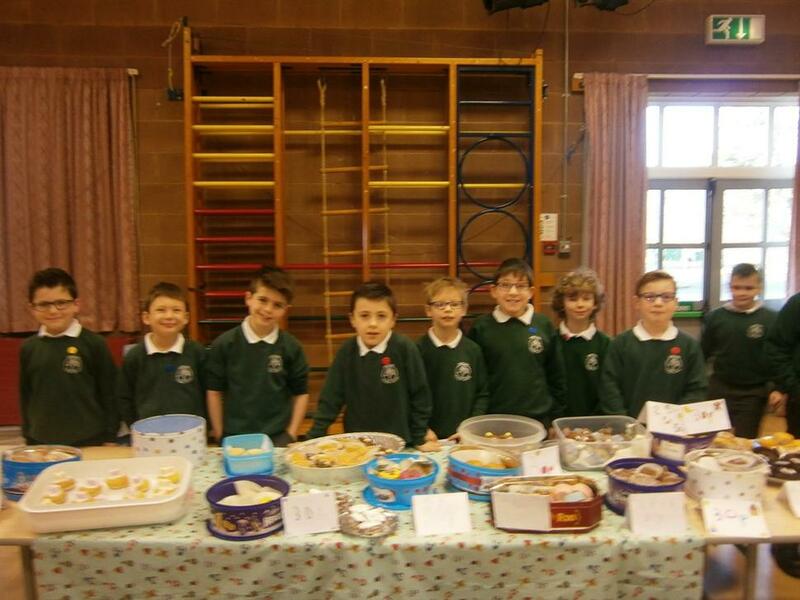 This year the proceeds went to The Dogs Trust, Macmillan Cancer Support, Diabetes U.K, Craigavon Cardiac Care Association and the U.S.P.C.A. 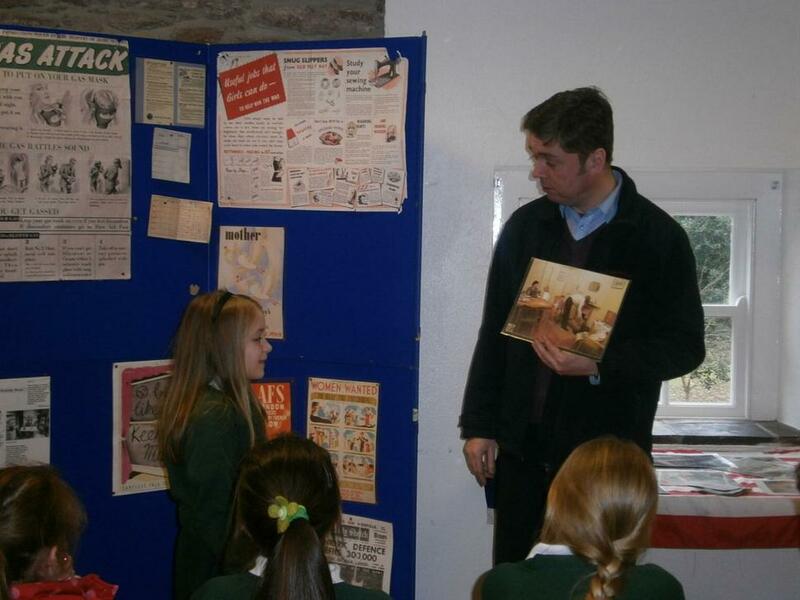 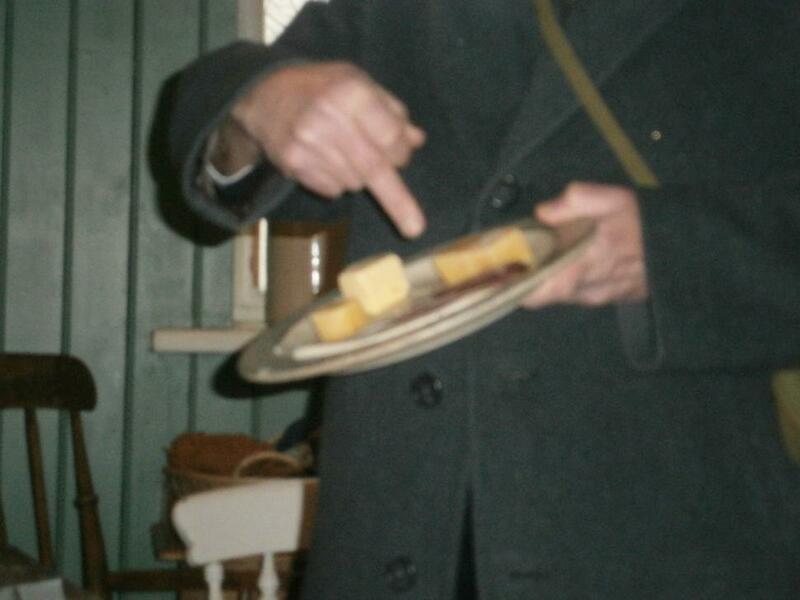 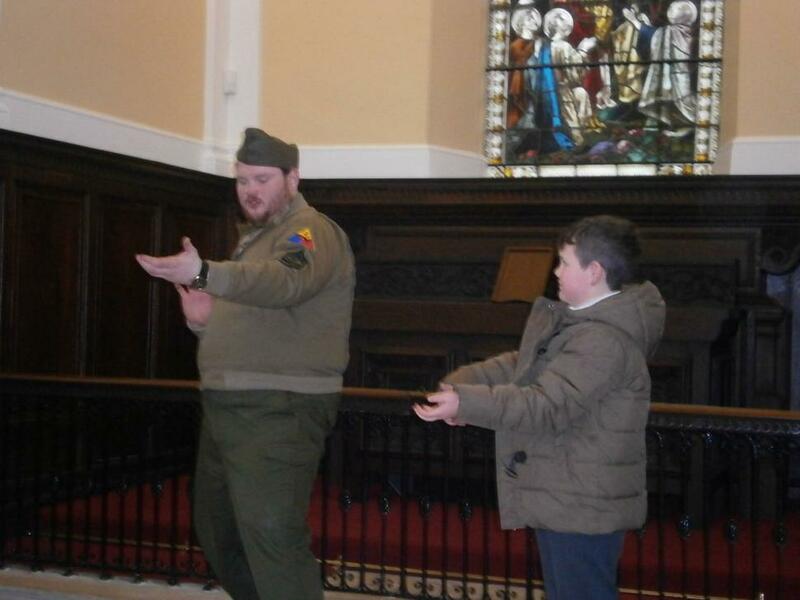 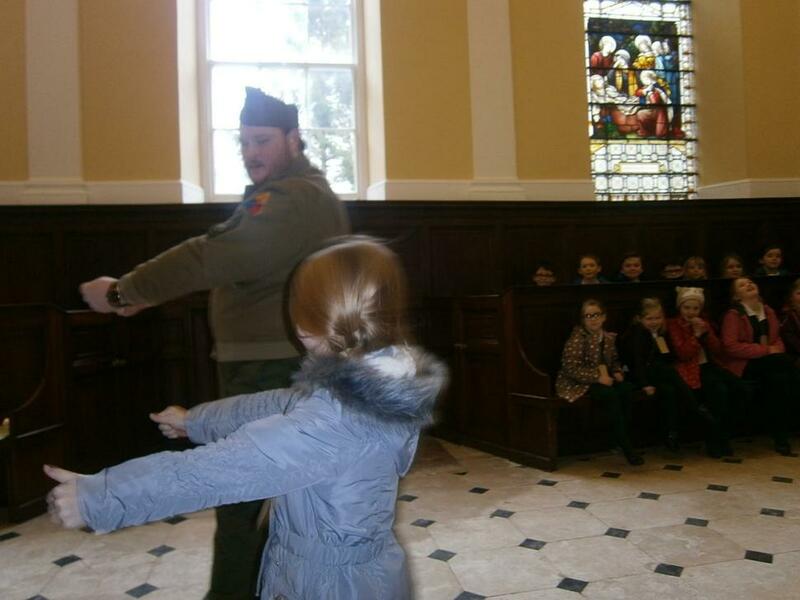 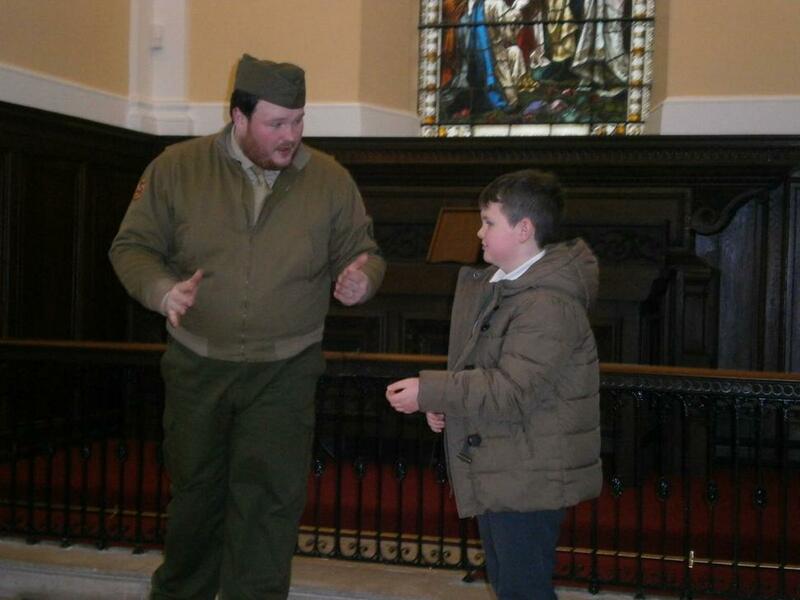 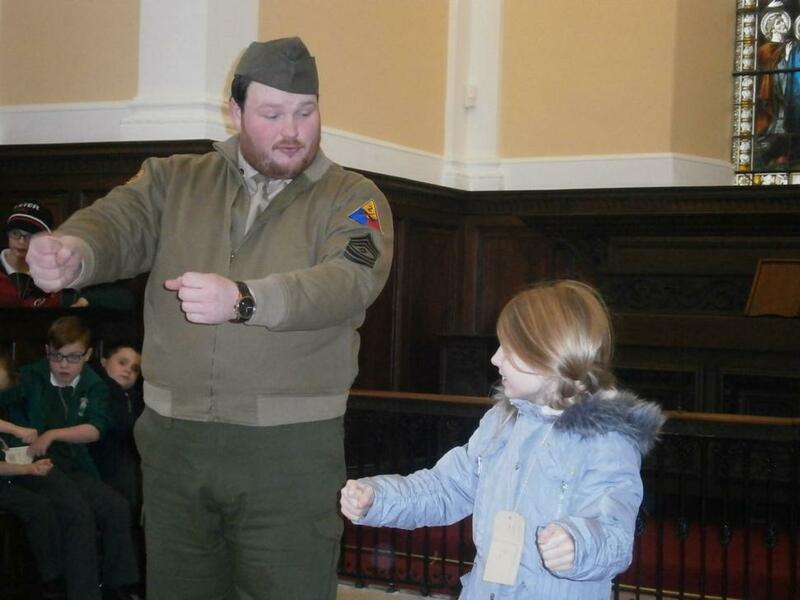 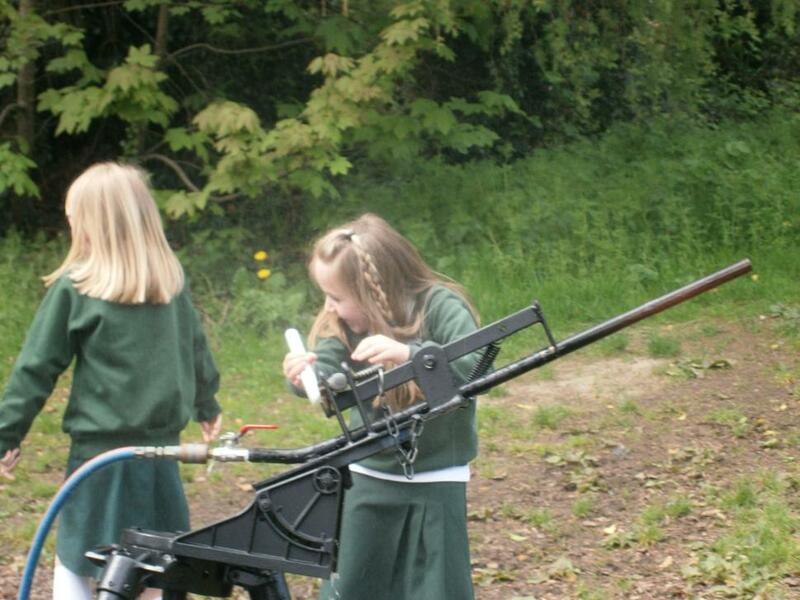 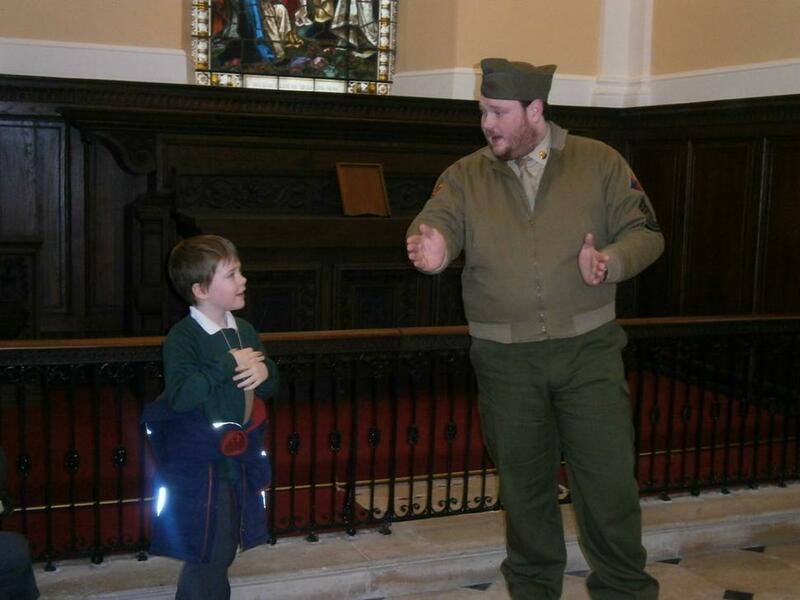 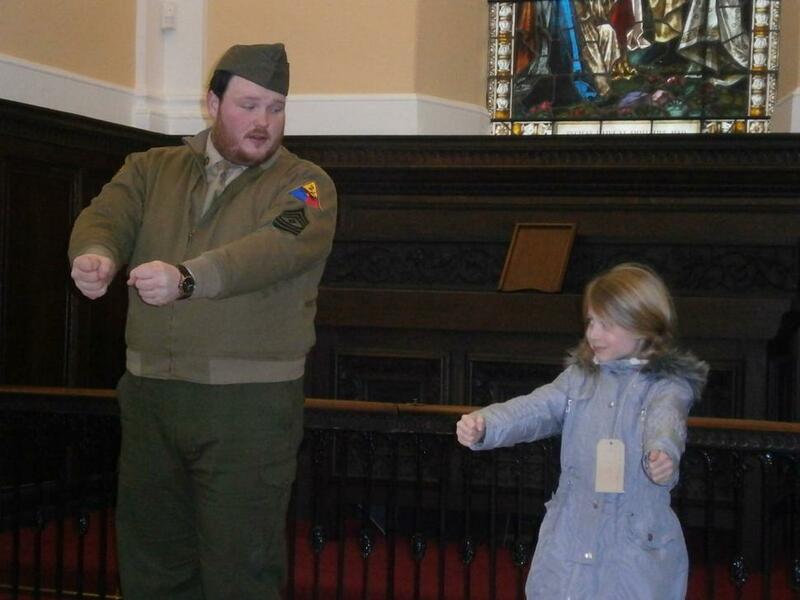 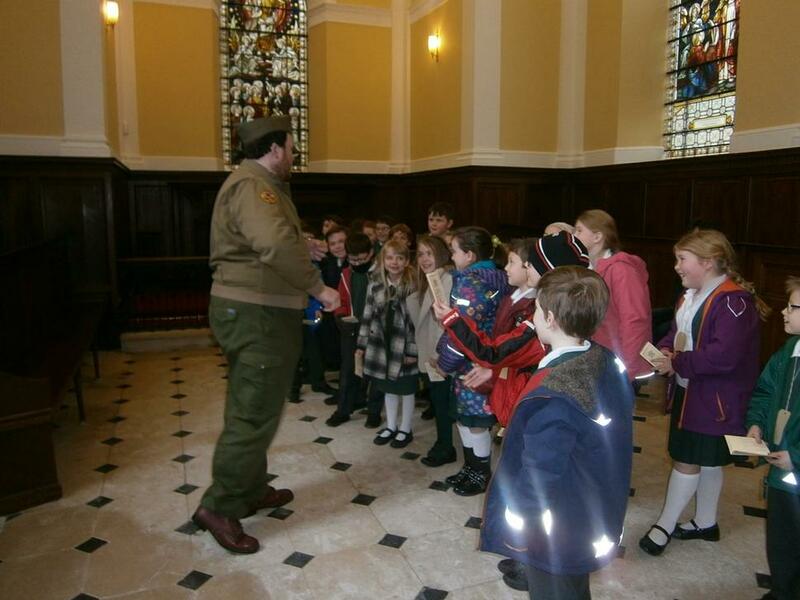 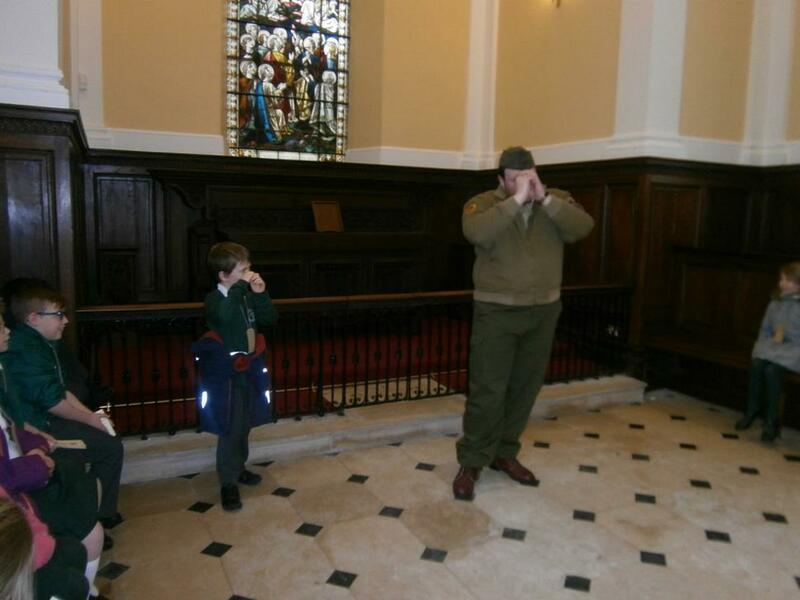 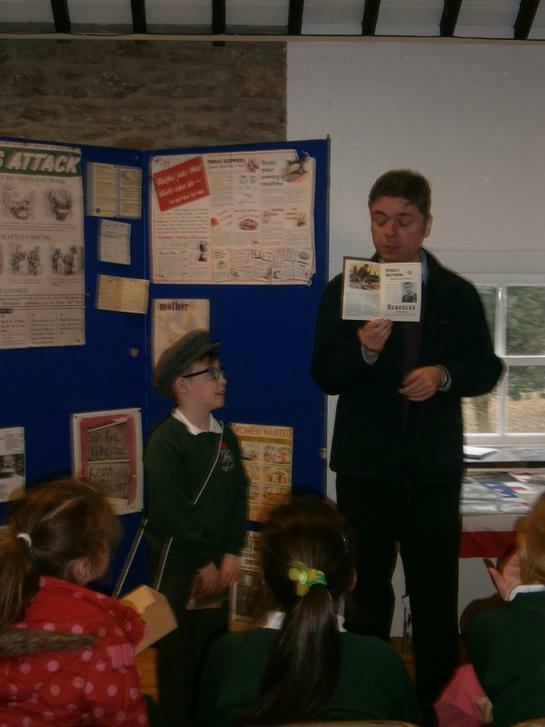 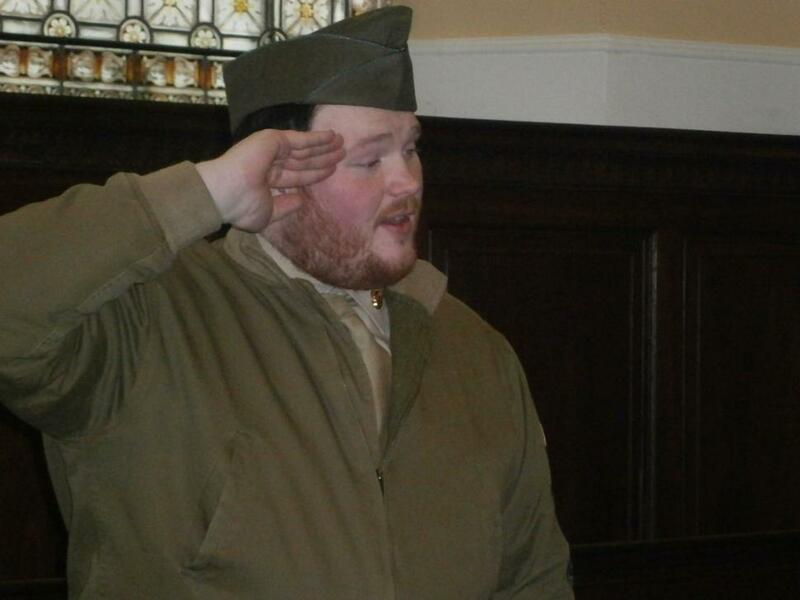 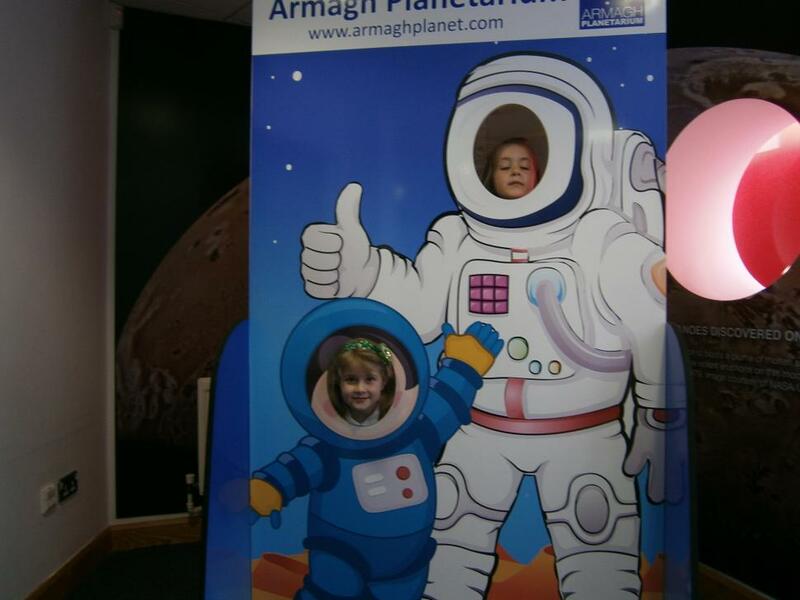 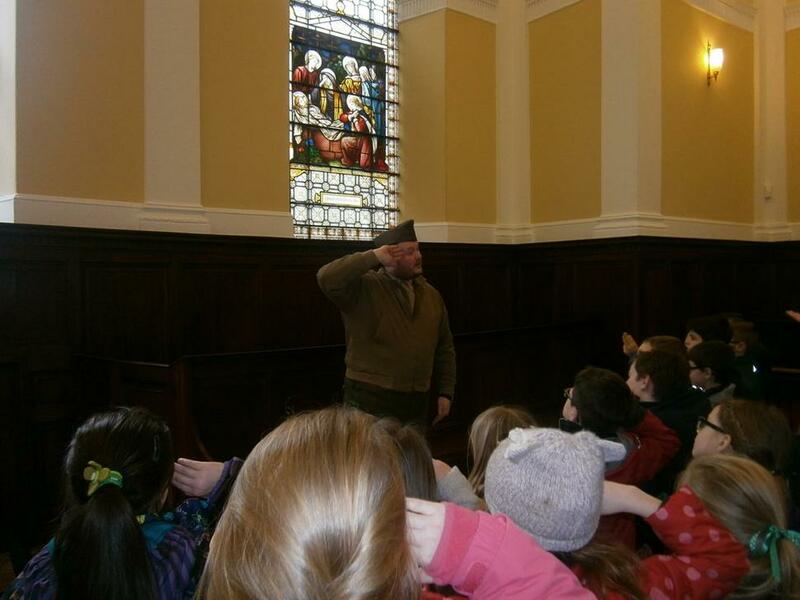 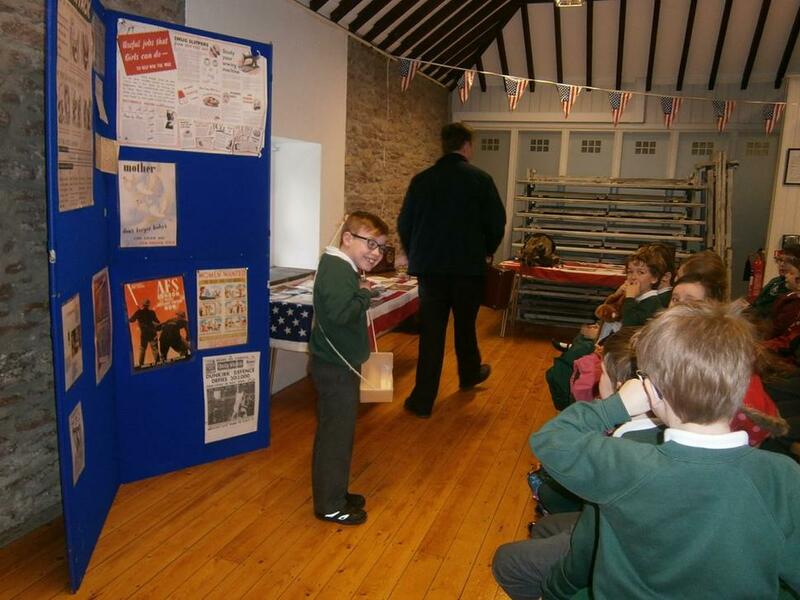 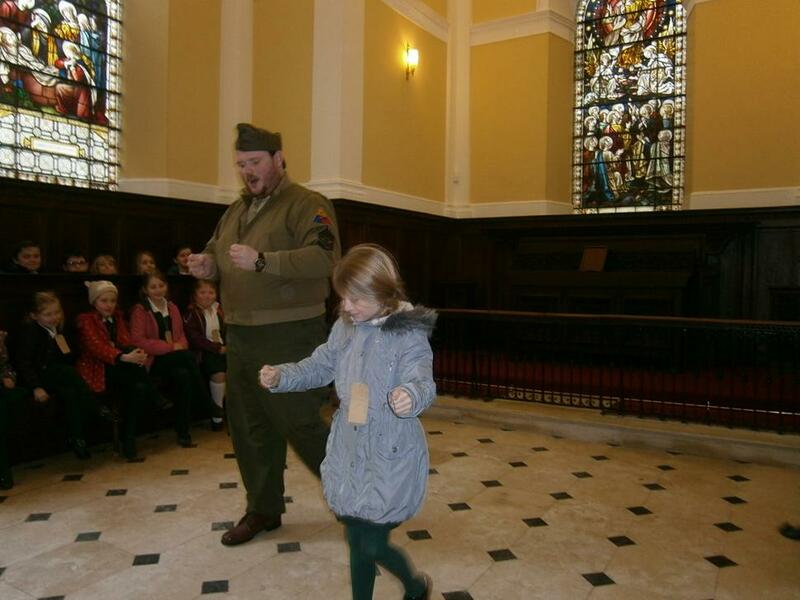 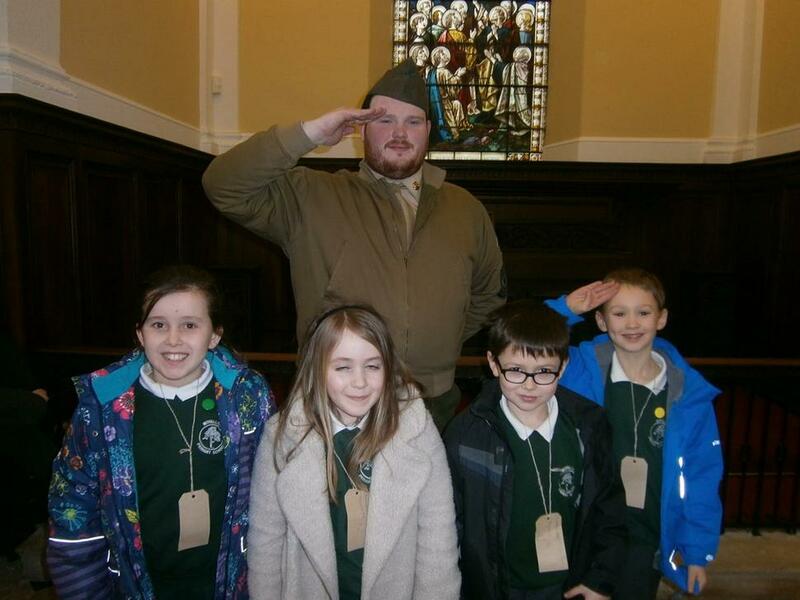 We went to the Palace Stables in Armagh for World War II Day. 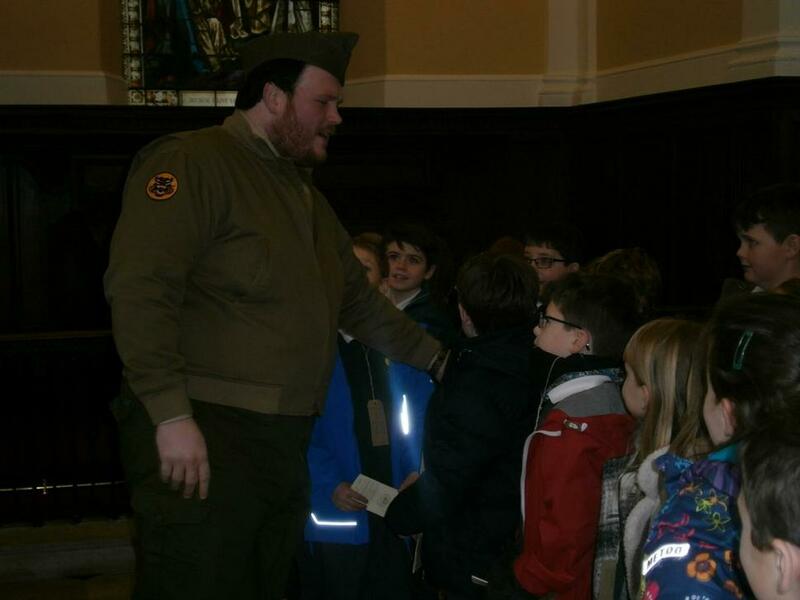 We met an American G.I. 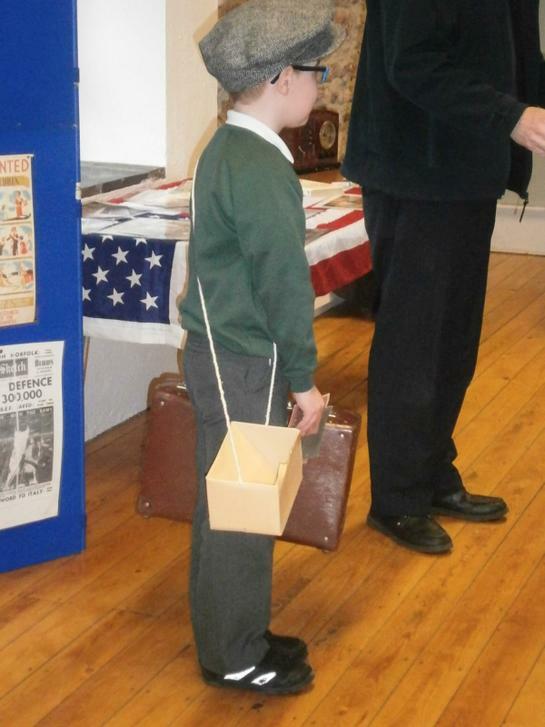 and an Evacuation Officer. 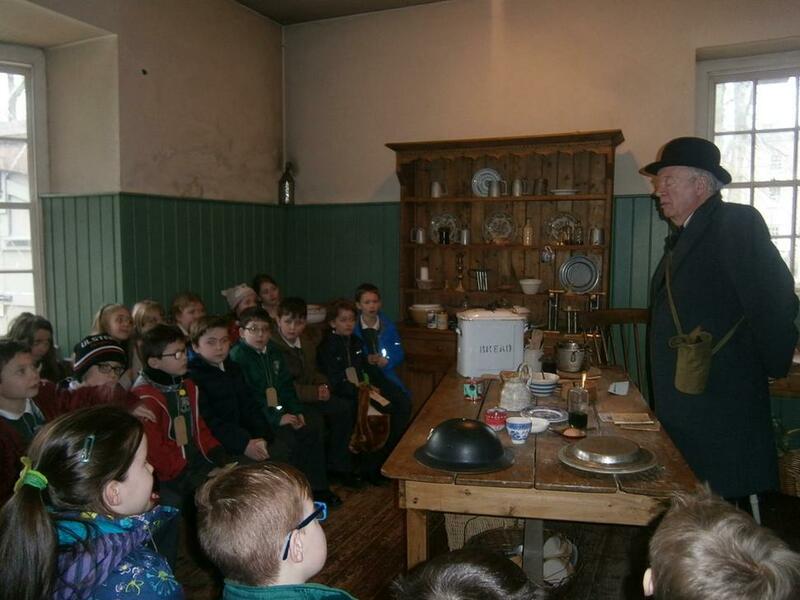 We learned about being evacuated and about rationing. 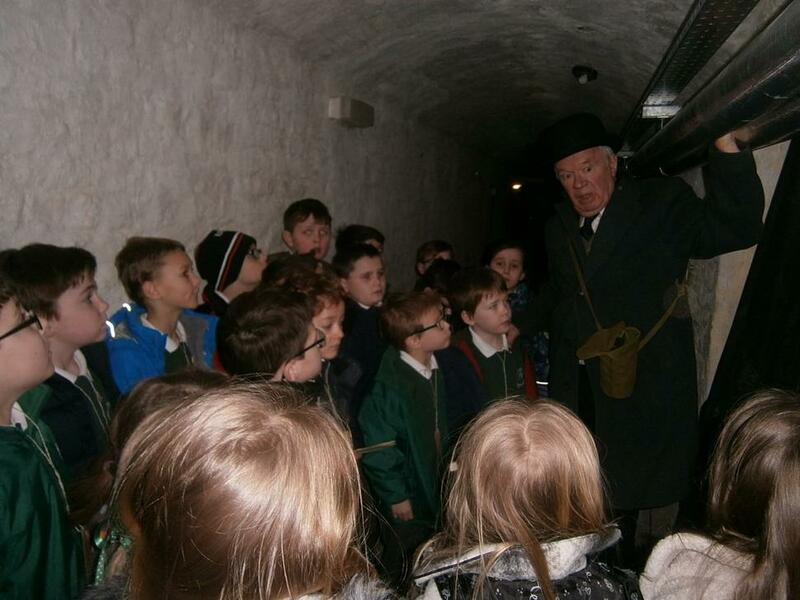 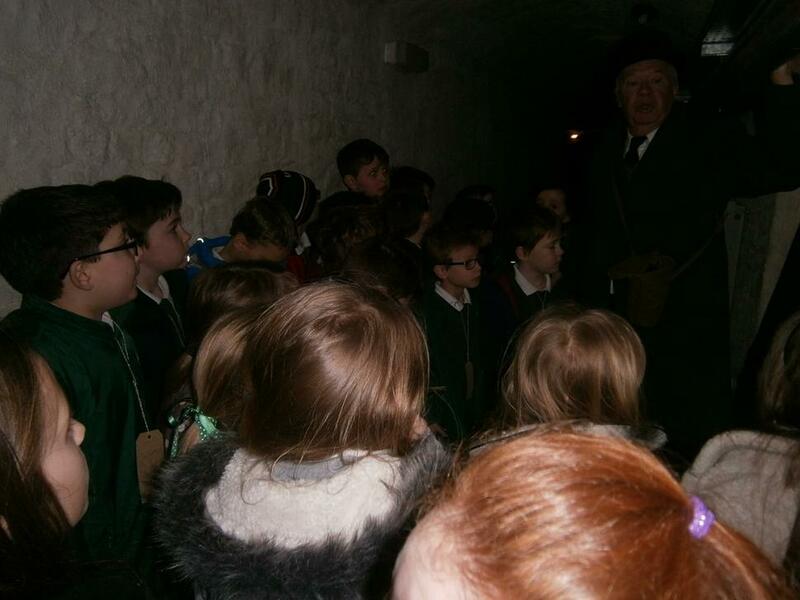 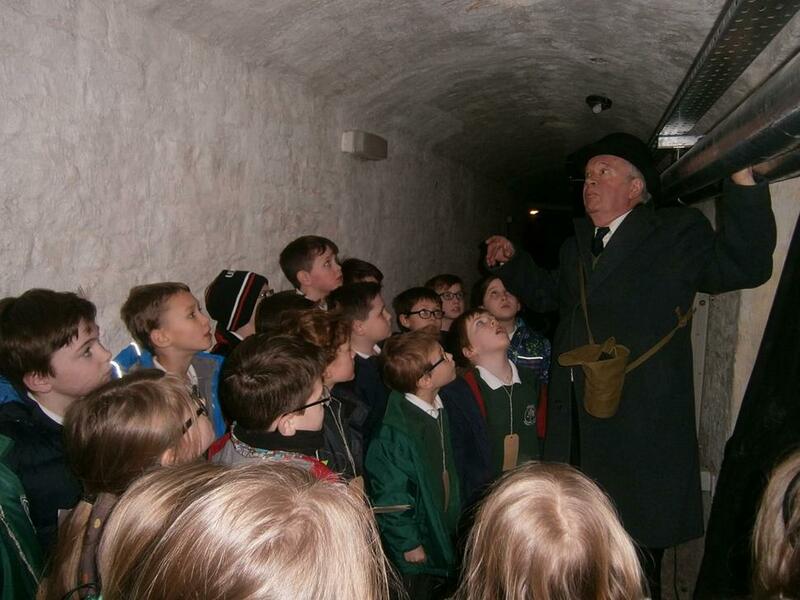 We also got to go inside an Air Raid Shelter. 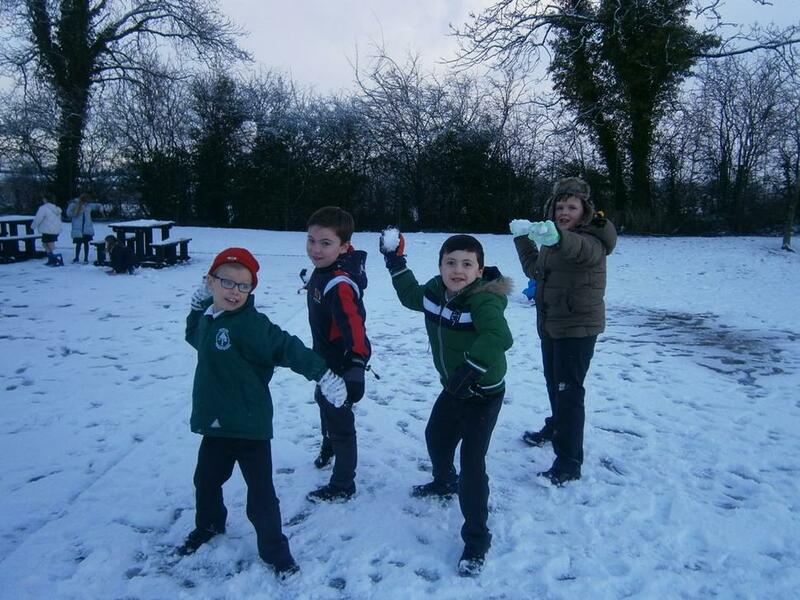 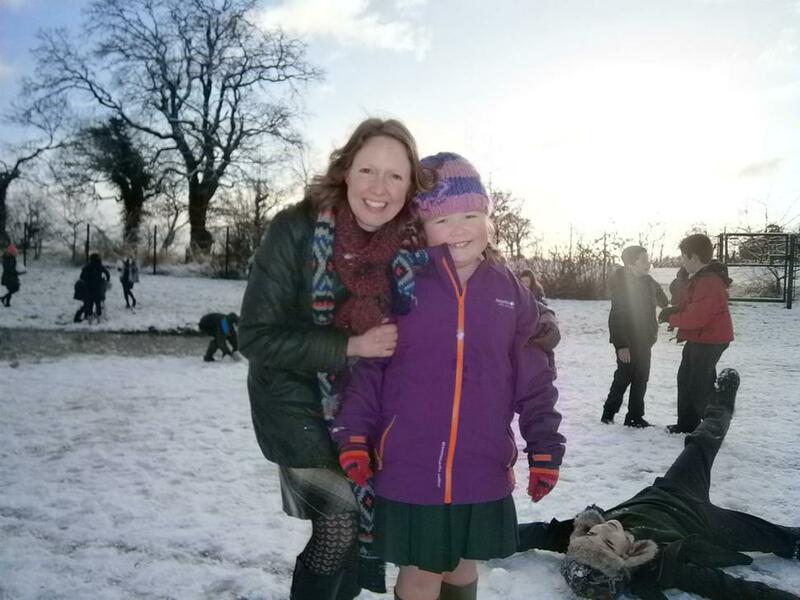 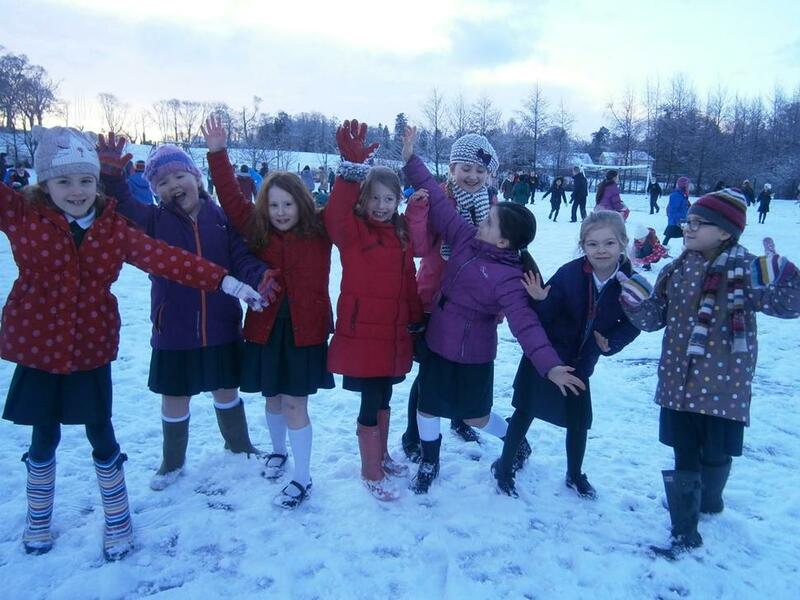 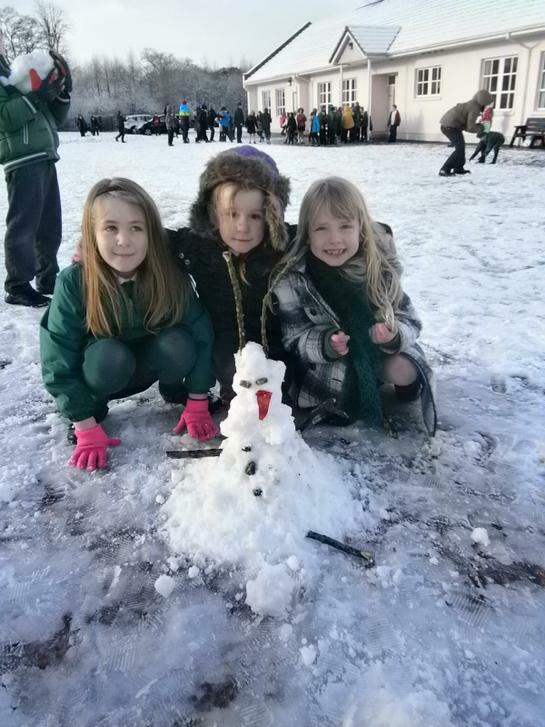 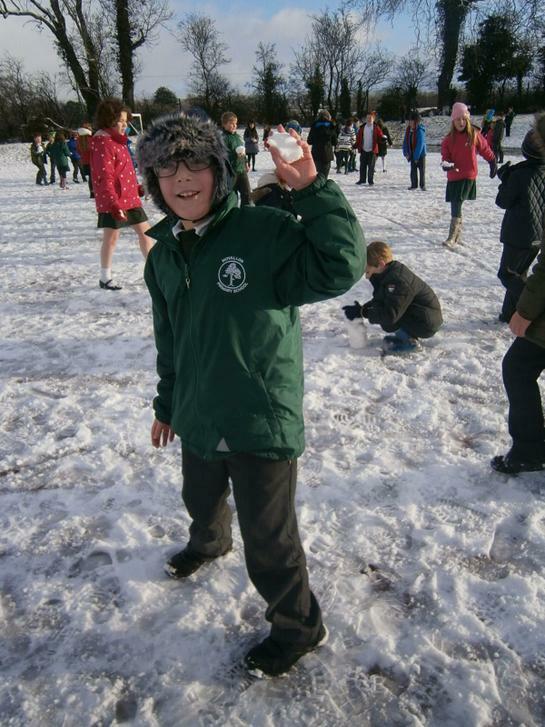 We had great fun playing in the snow! 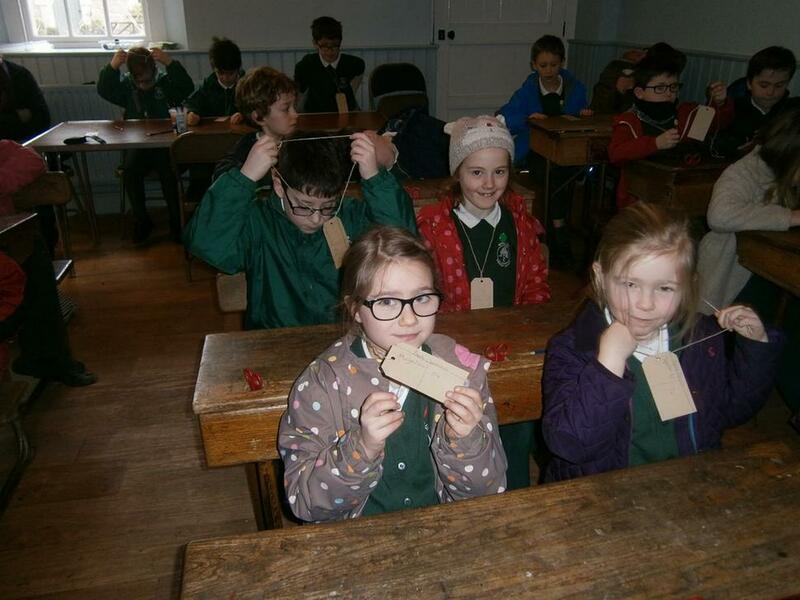 We wrote letters to say thank you for all the Christmas presents we received. 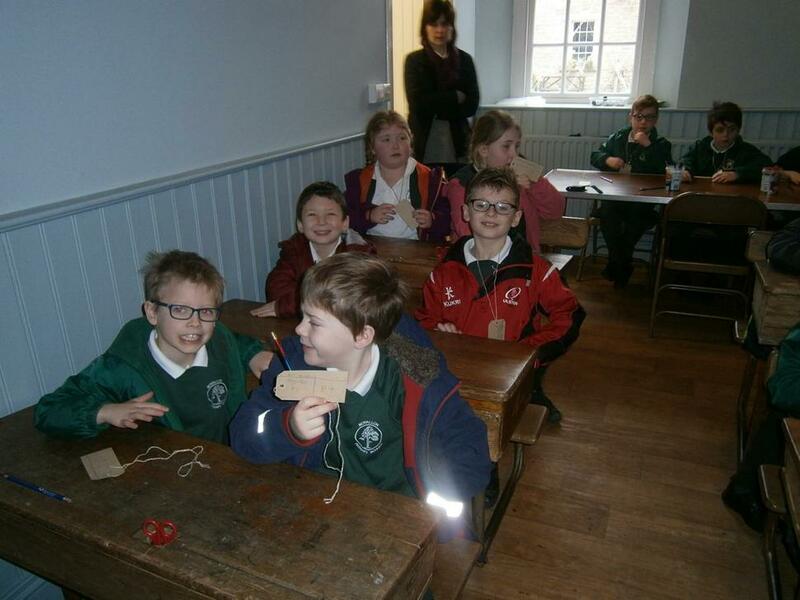 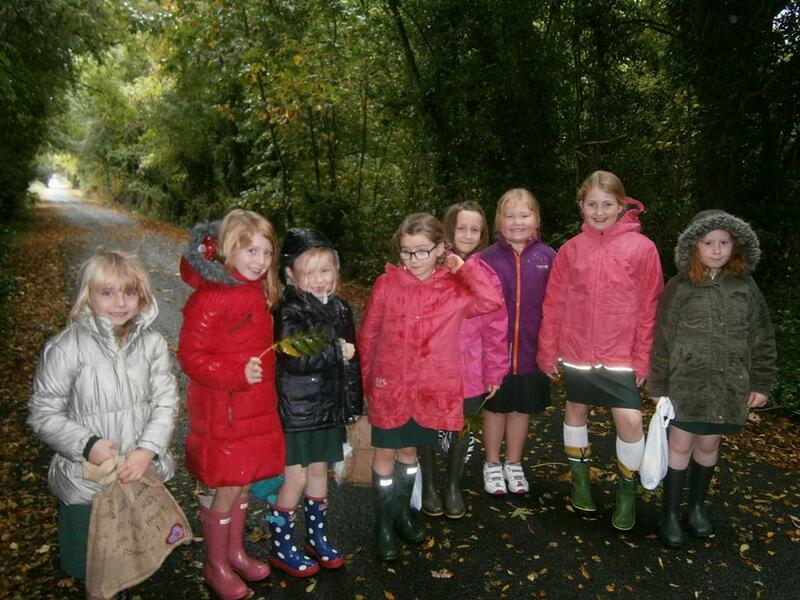 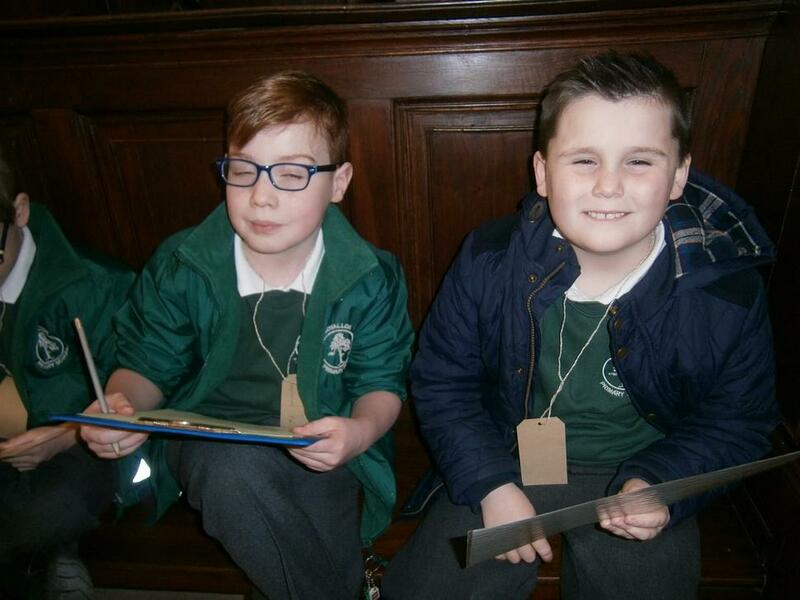 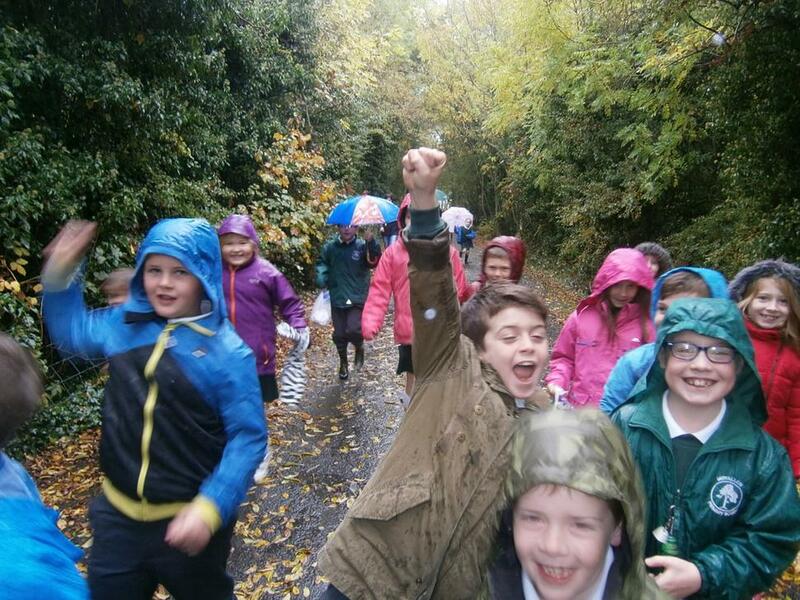 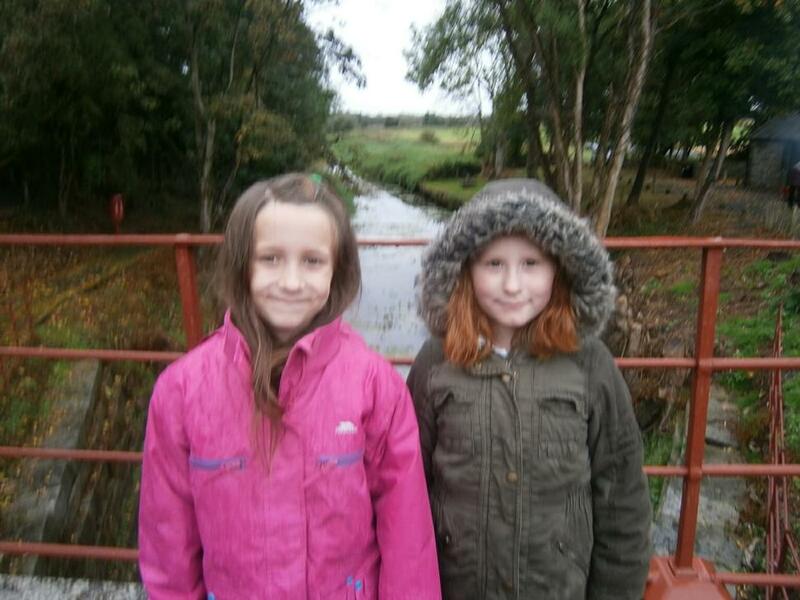 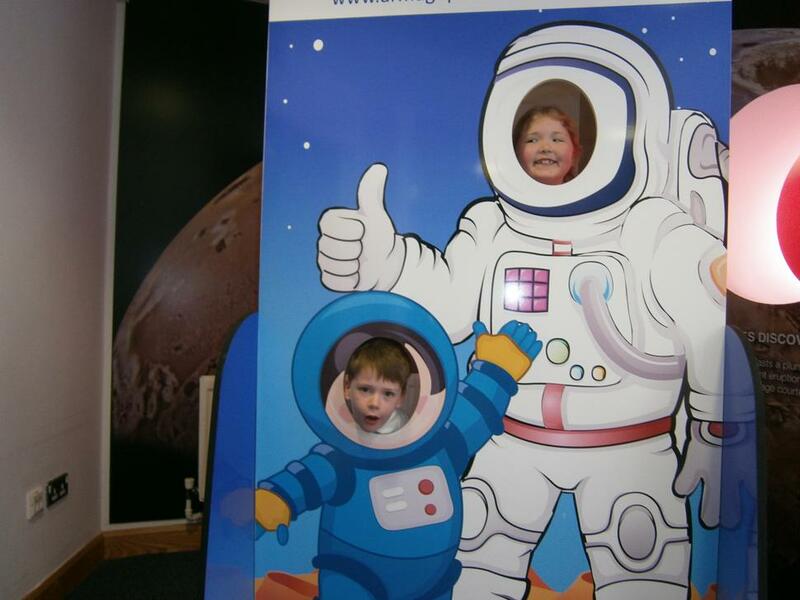 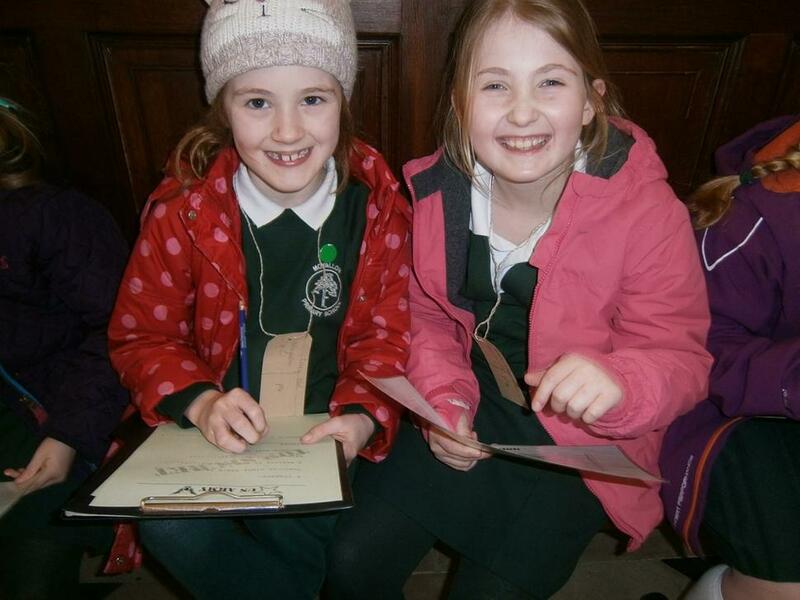 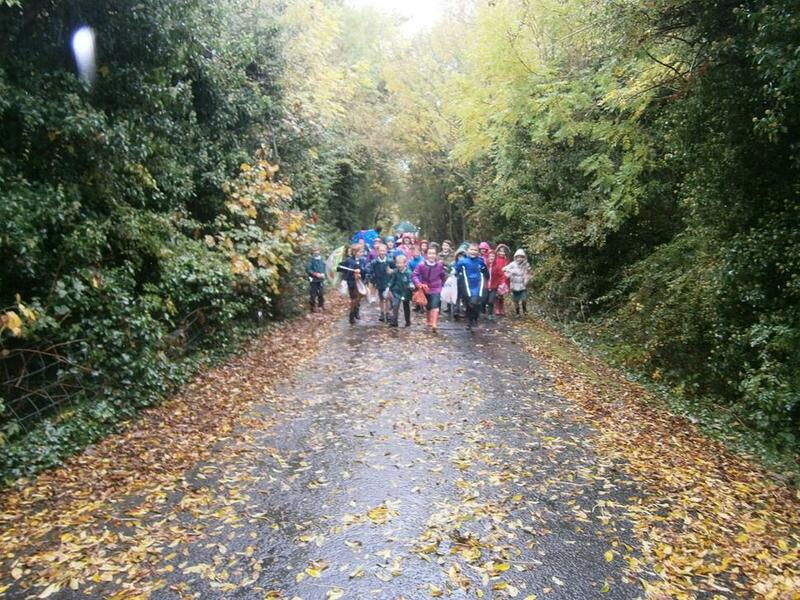 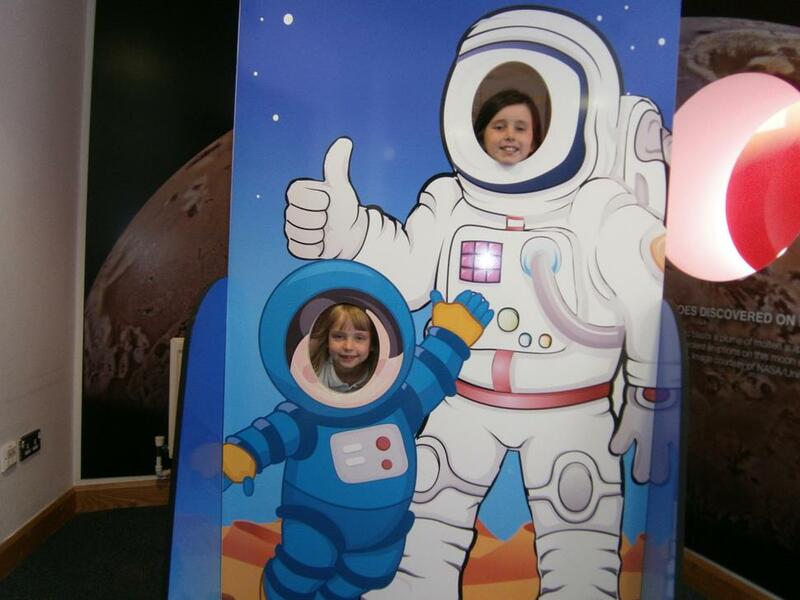 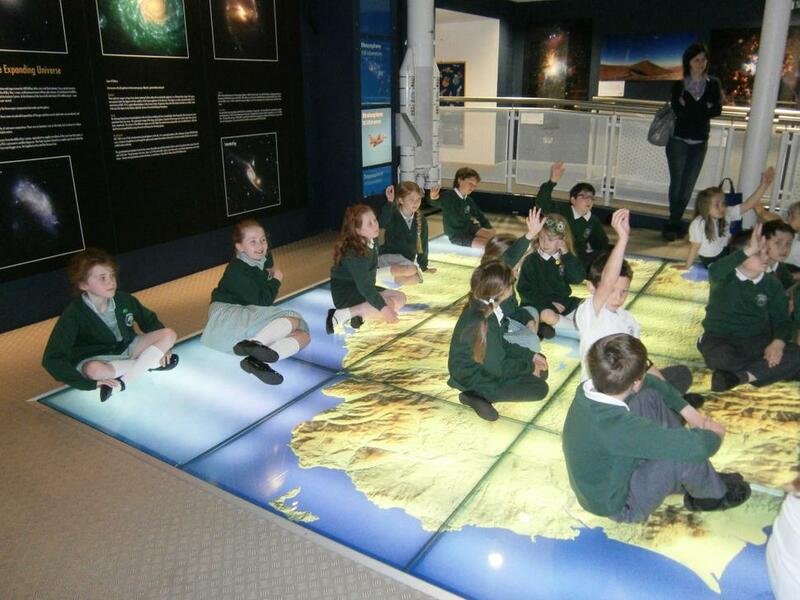 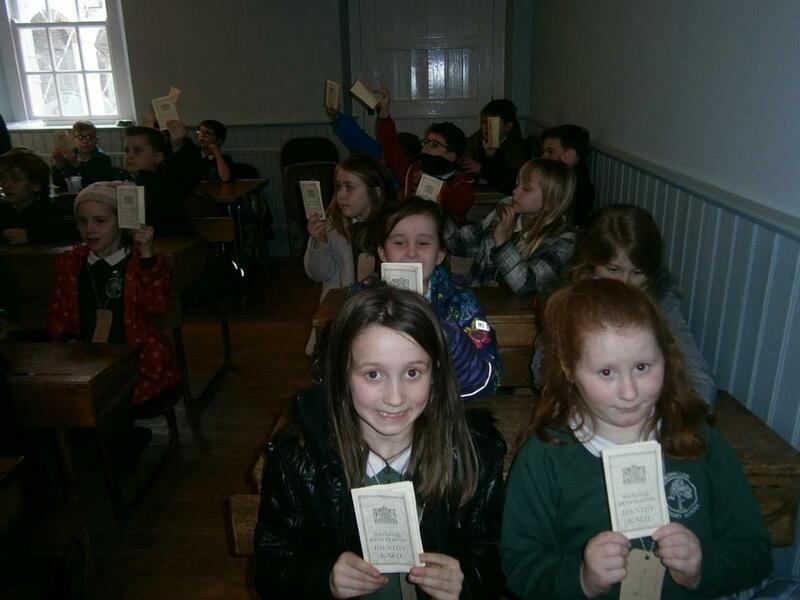 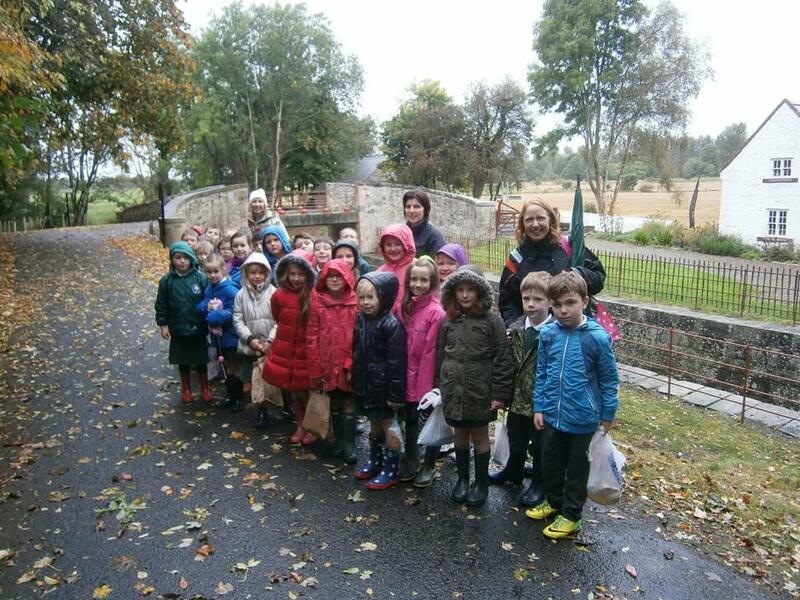 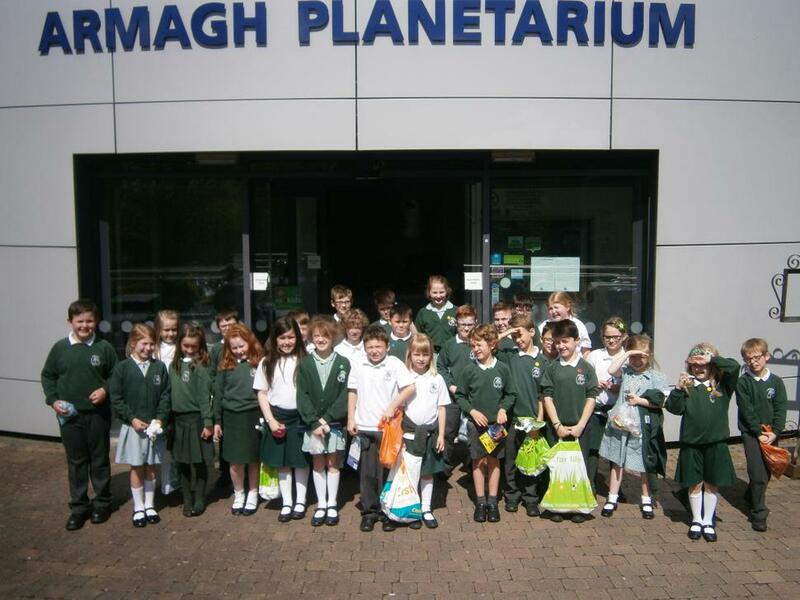 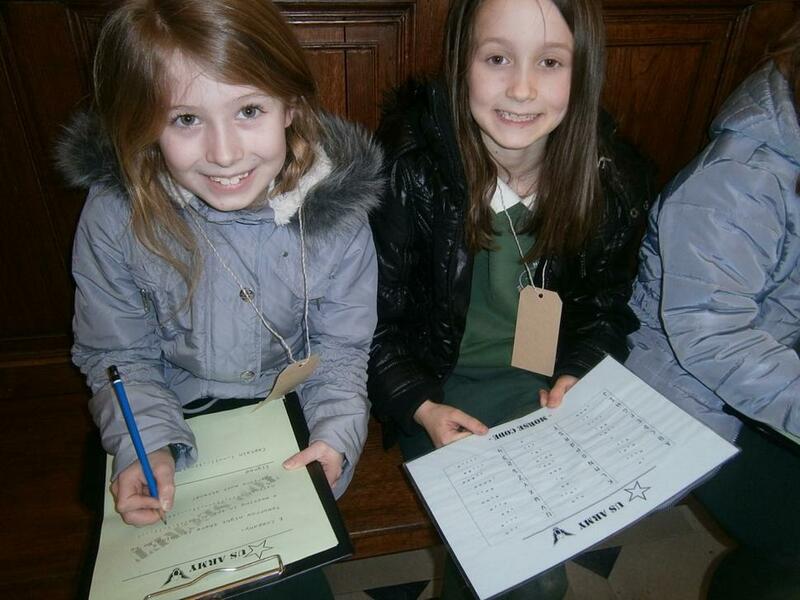 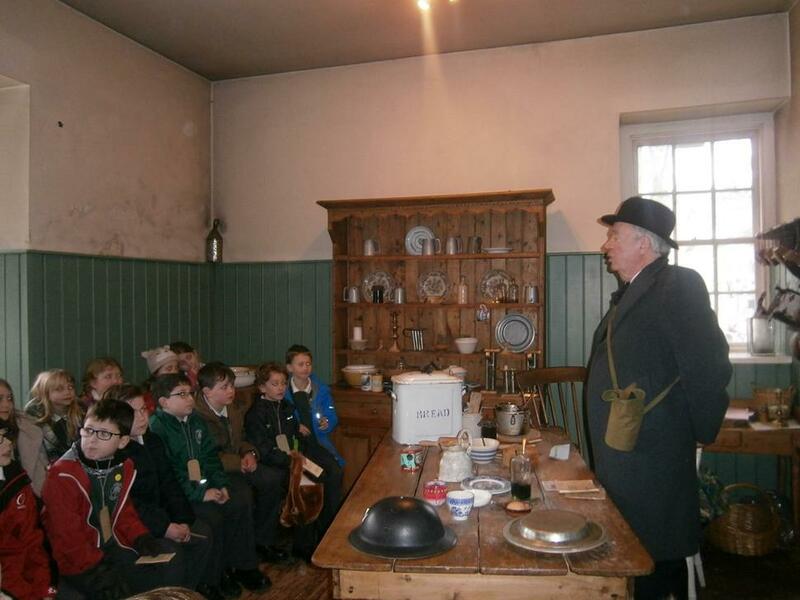 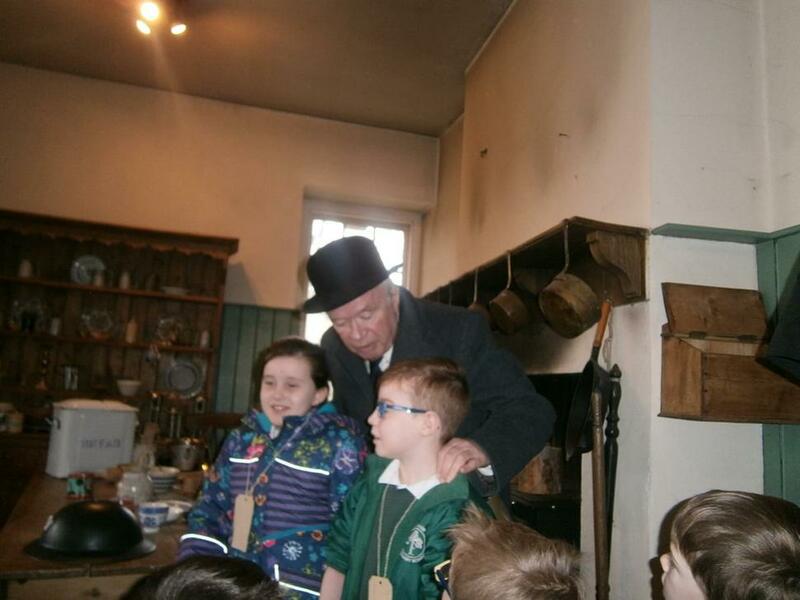 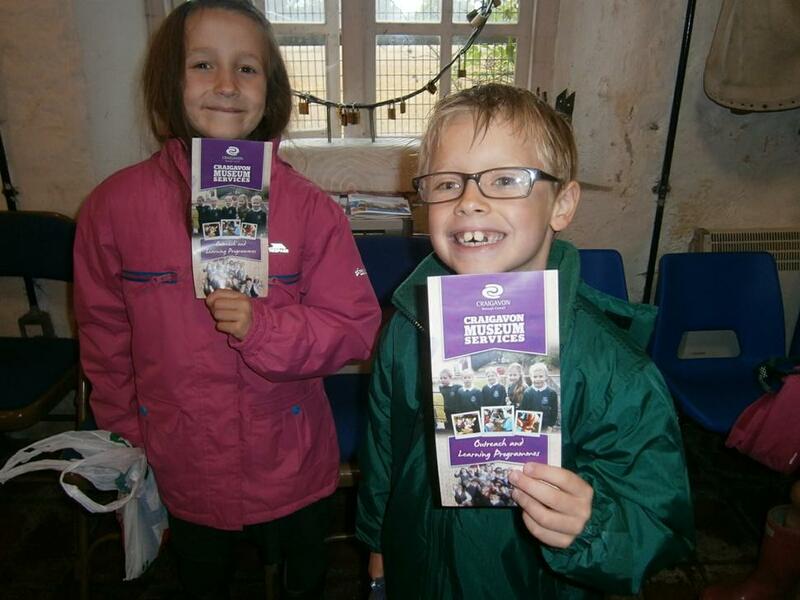 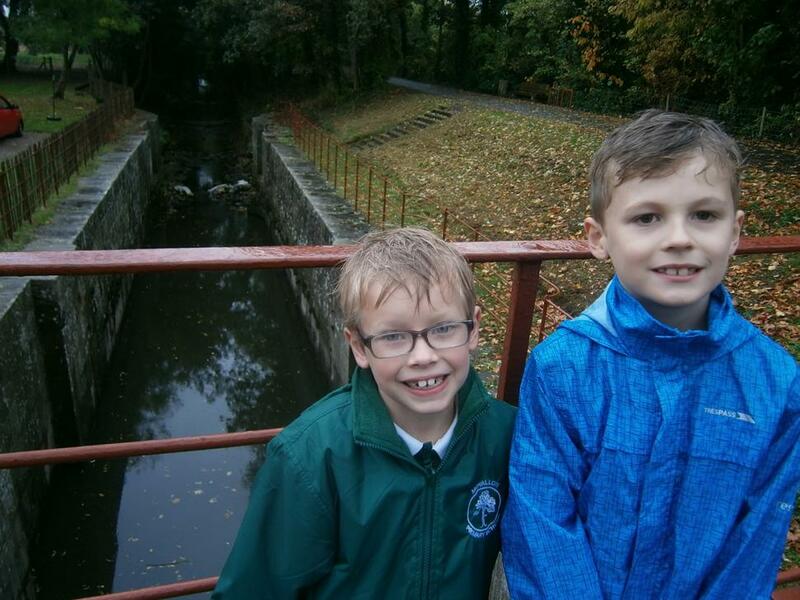 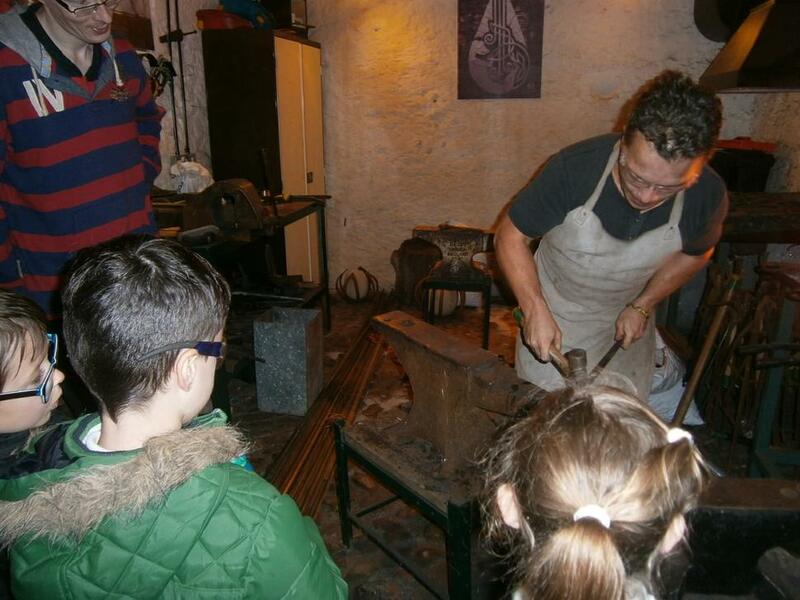 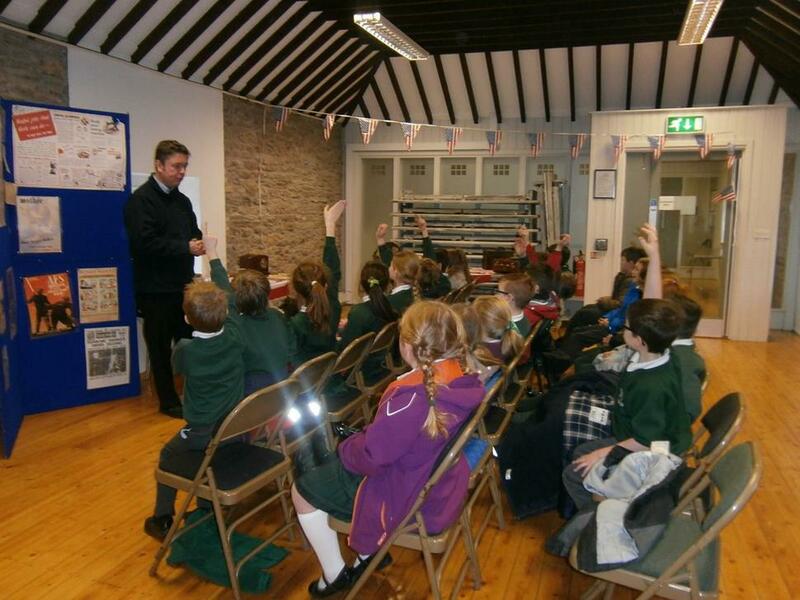 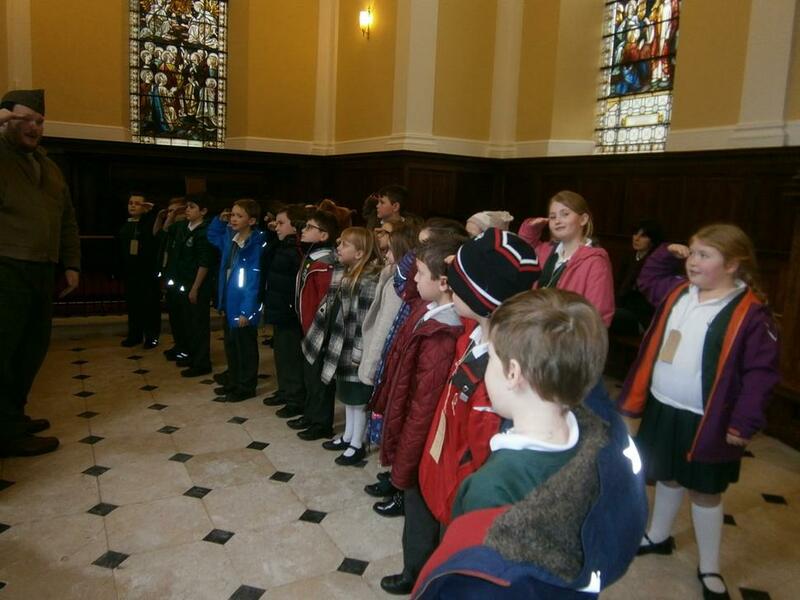 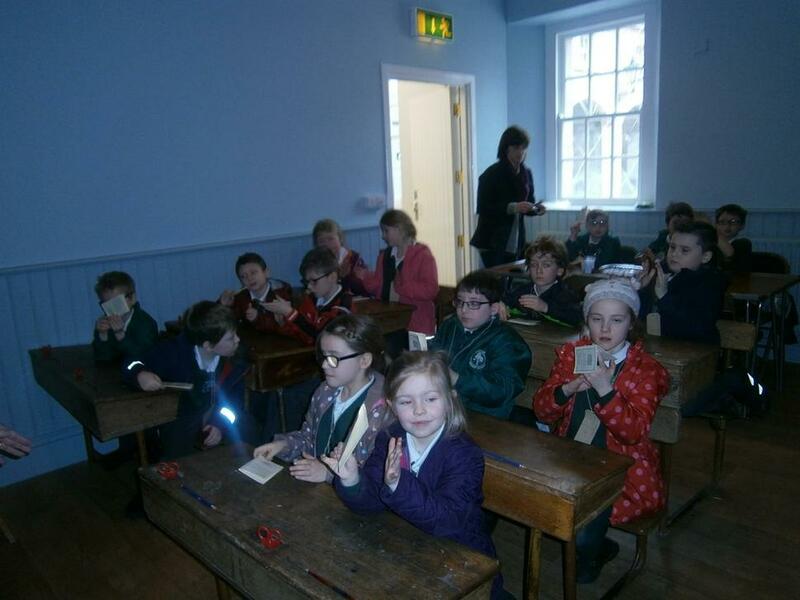 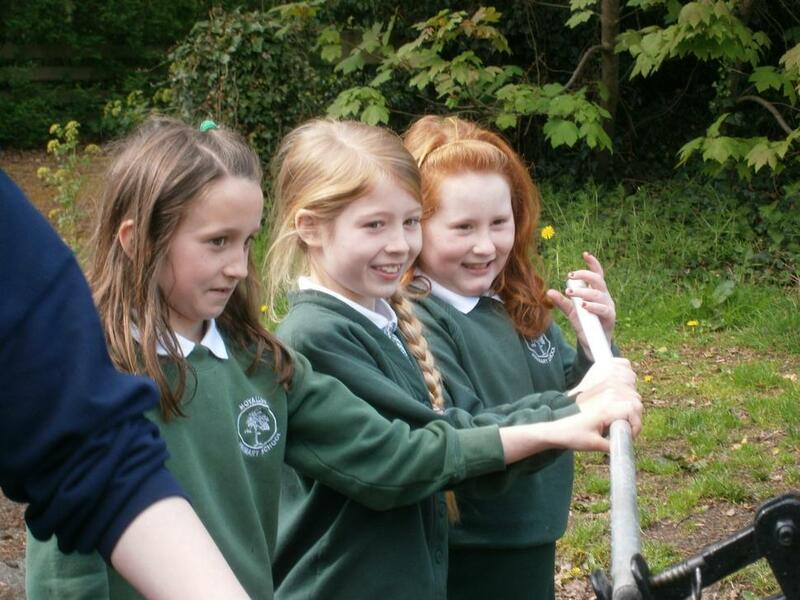 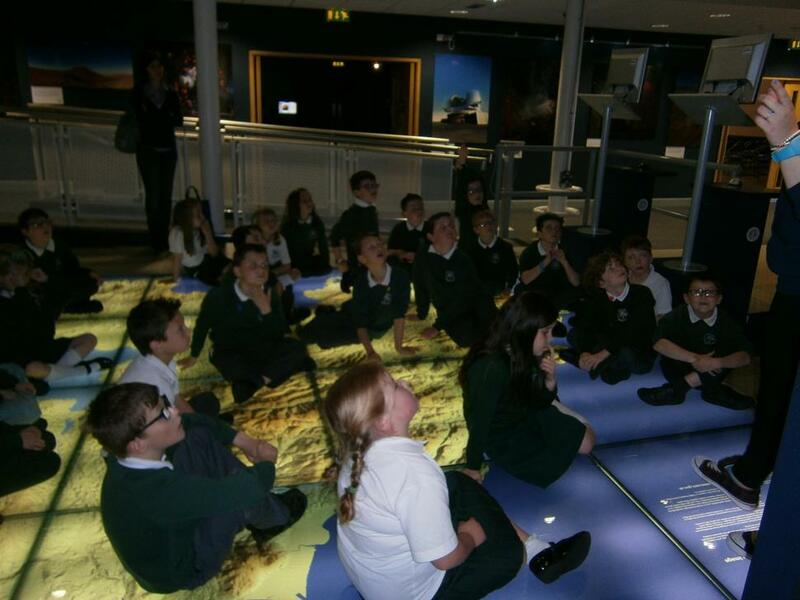 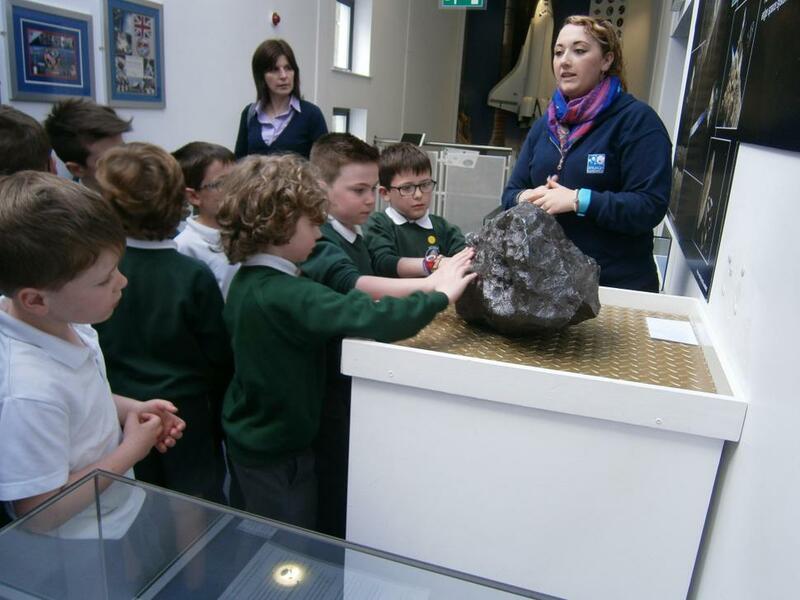 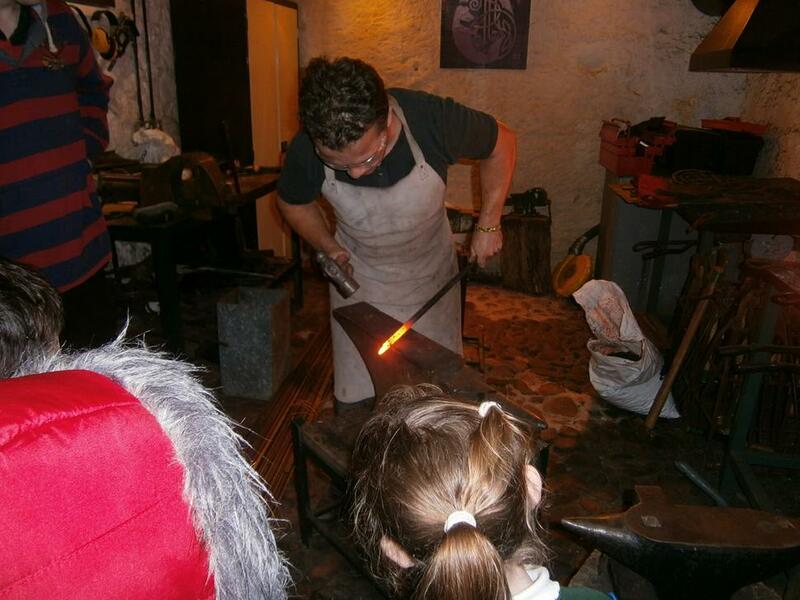 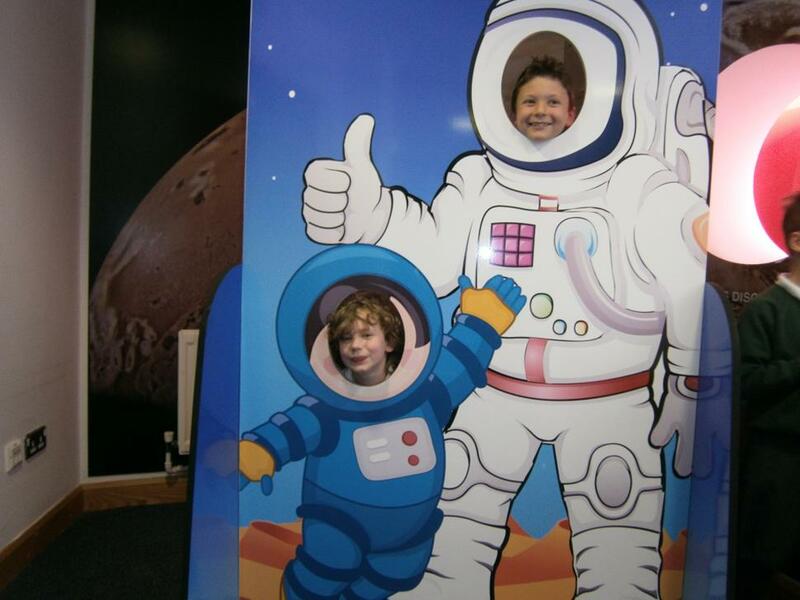 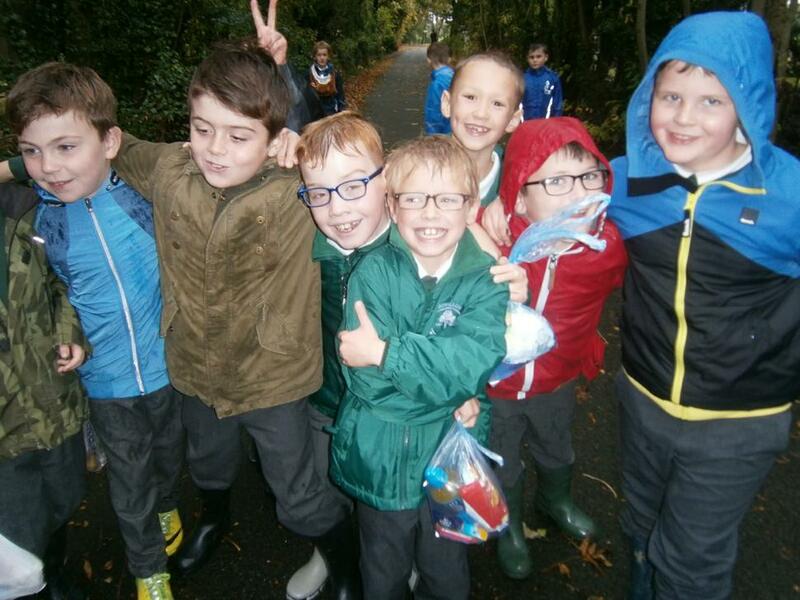 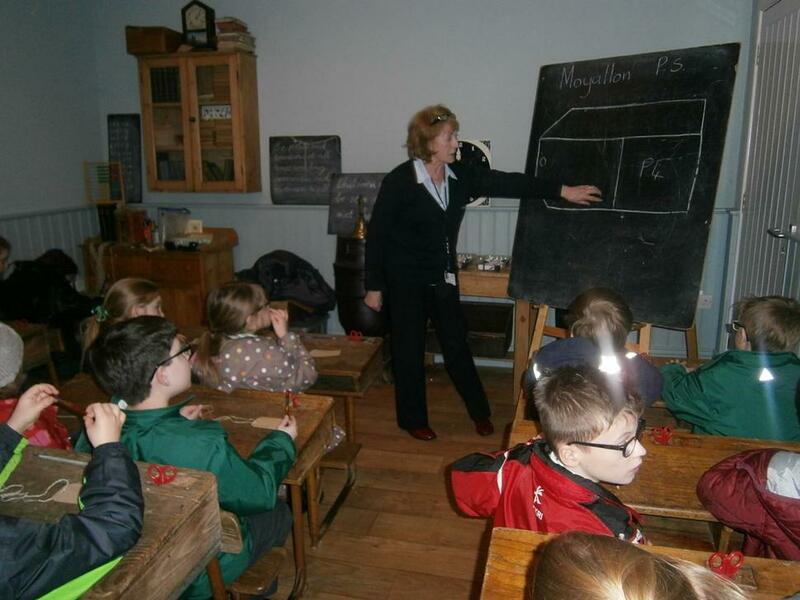 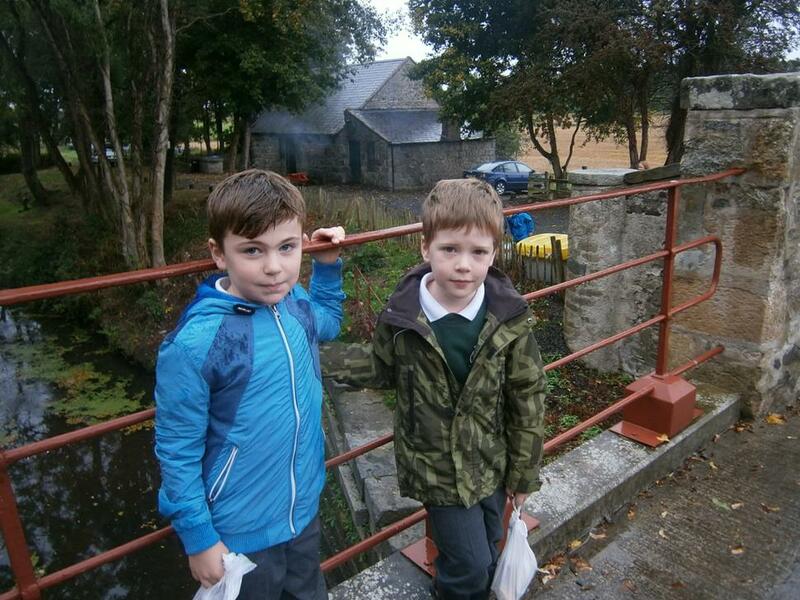 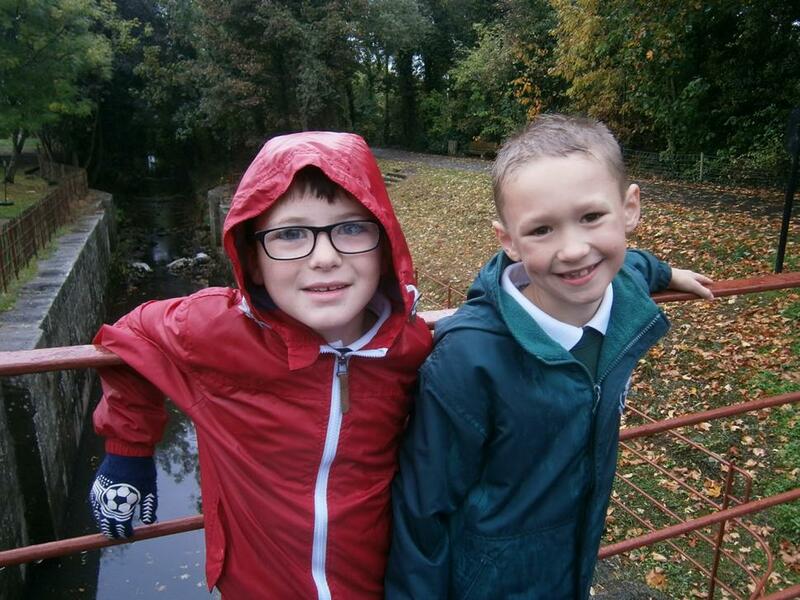 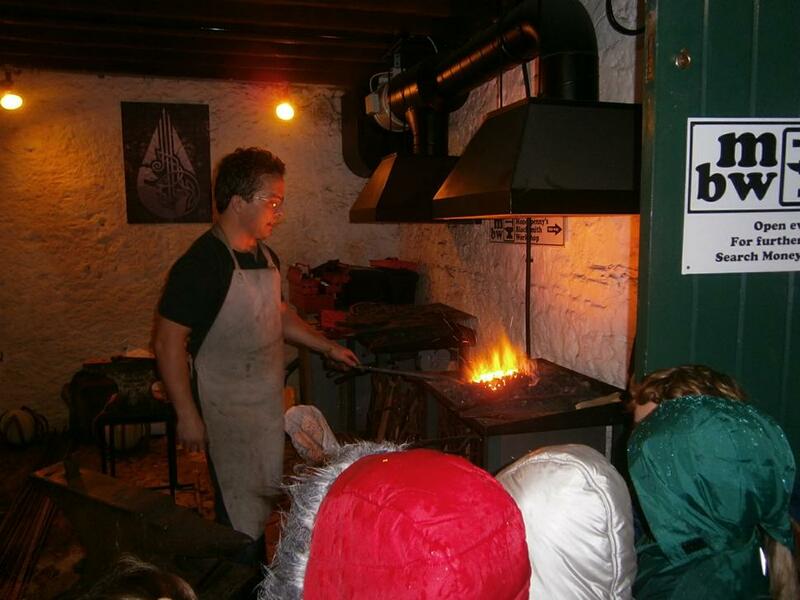 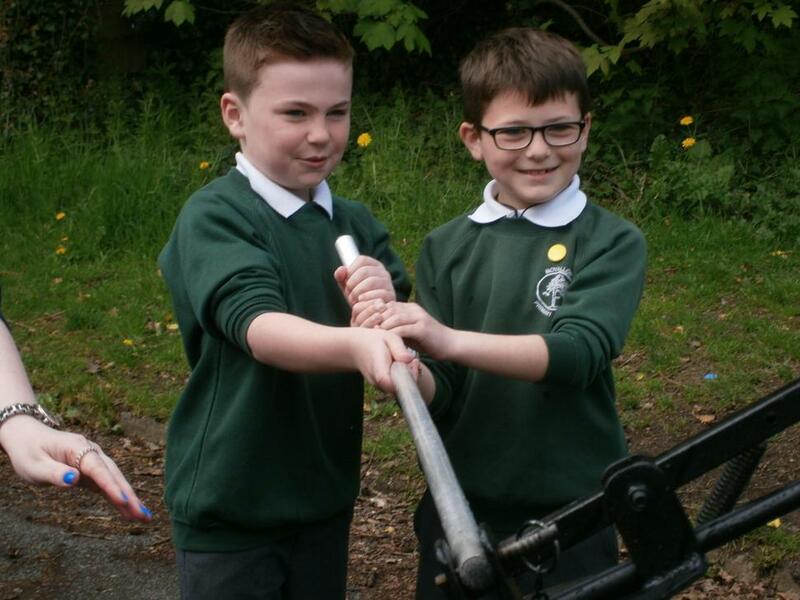 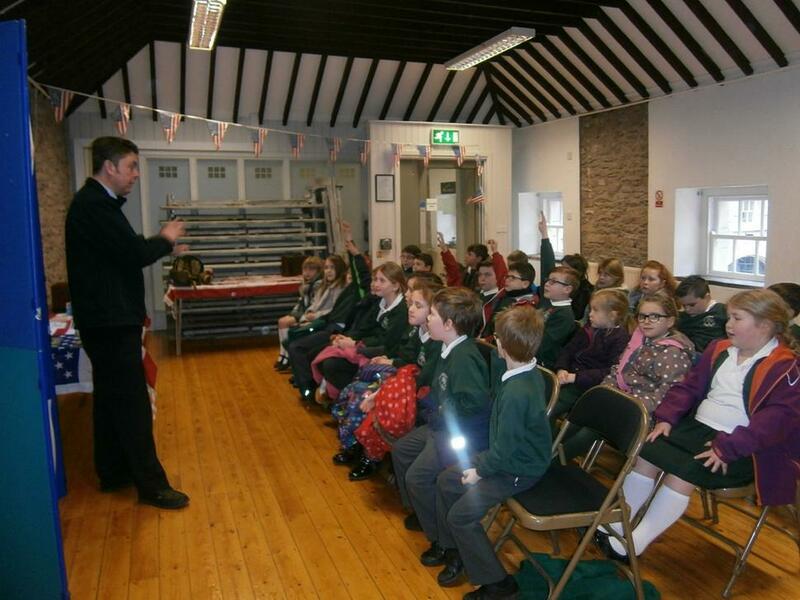 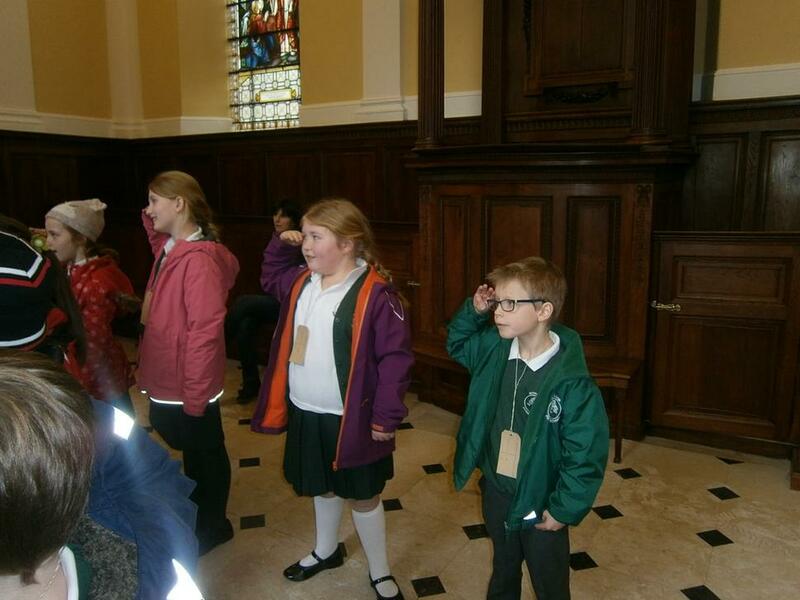 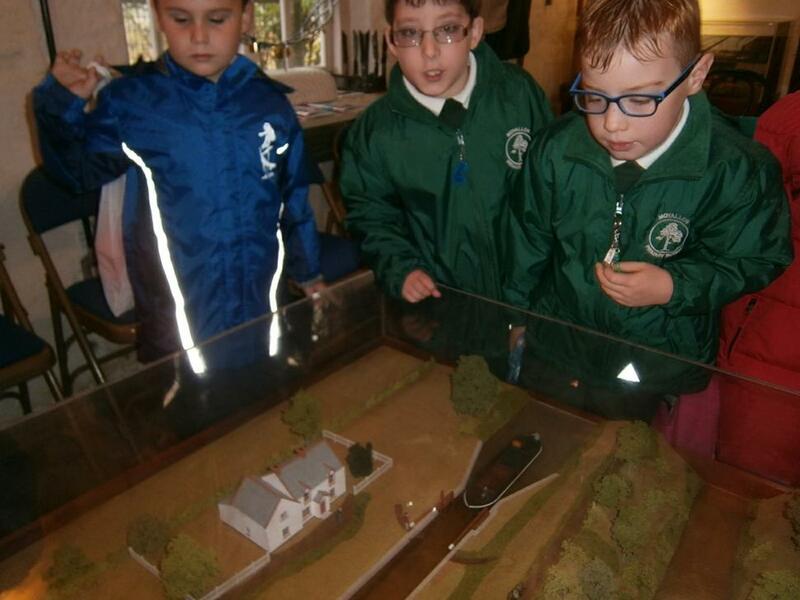 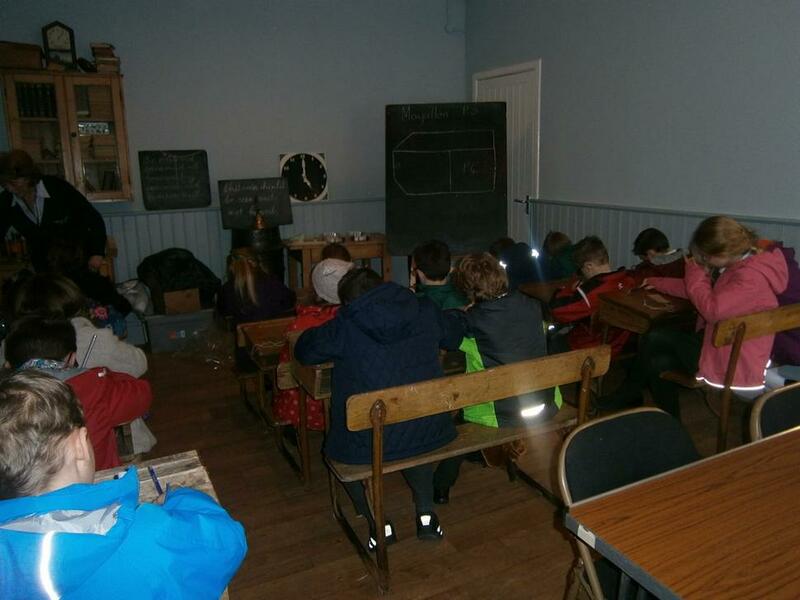 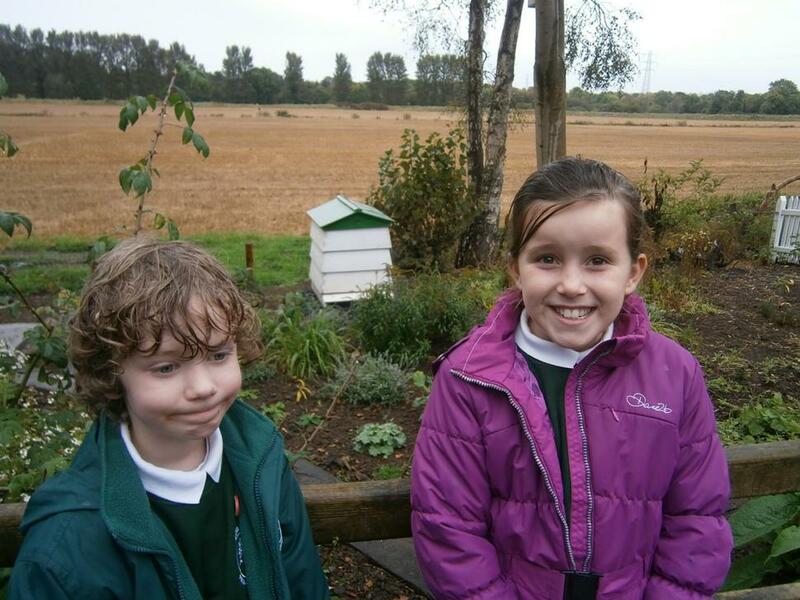 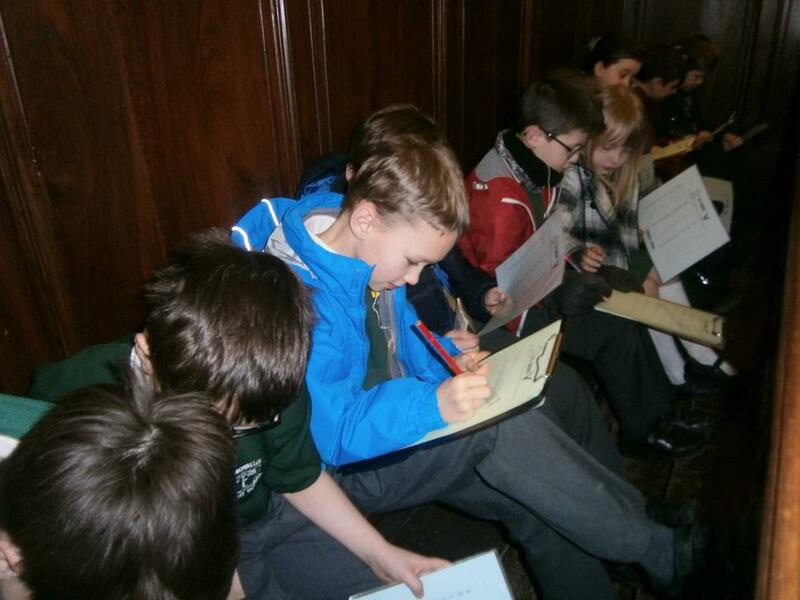 Primary 4 visited Moneypenny's Lock and despite the weather we all had a great day!